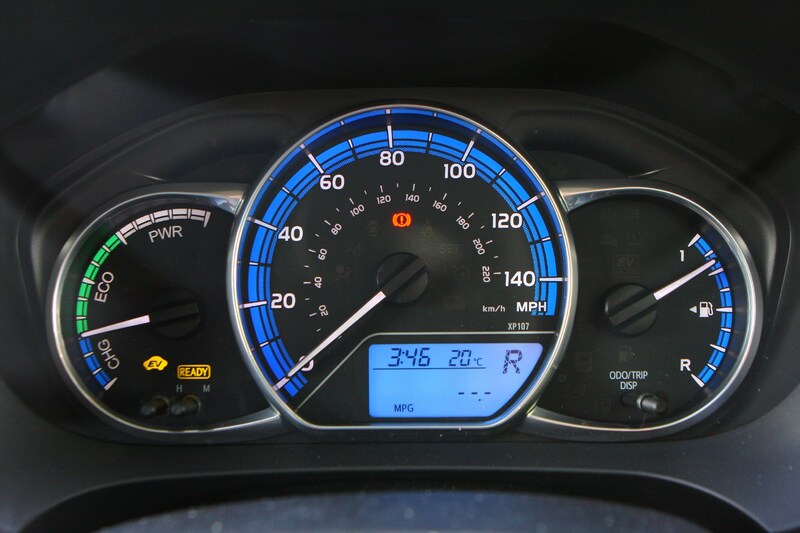 Insurance group: 2 - 36 How much is it to insure? 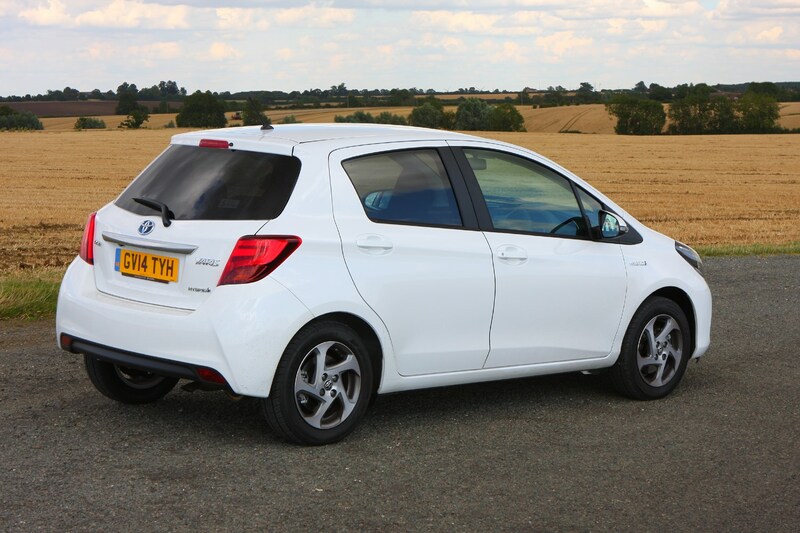 This is the third-generation Toyota Yaris hatchback, a five-door supermini competing in one of the most fiercely-fought segments against the likes of the ever-popular Ford Fiesta, Vauxhall Corsa and VW Polo, as well as the Skoda Fabia, Hyundai i20, Kia Rio and Nissan Micra. 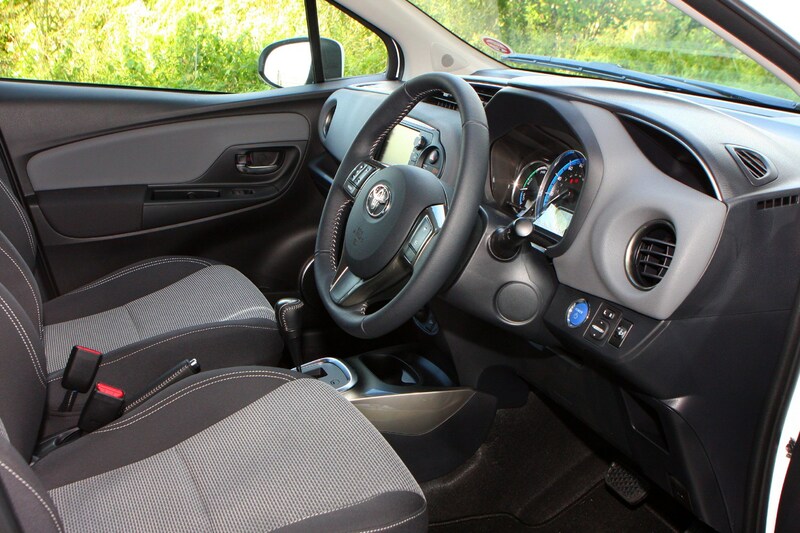 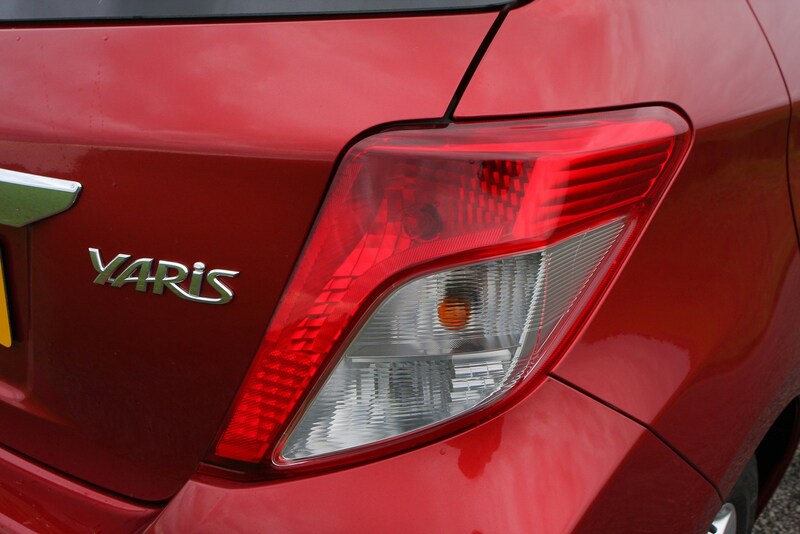 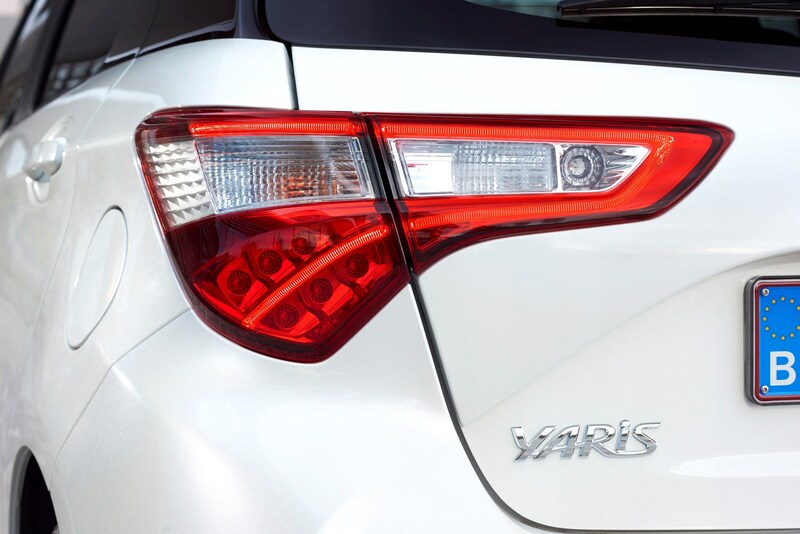 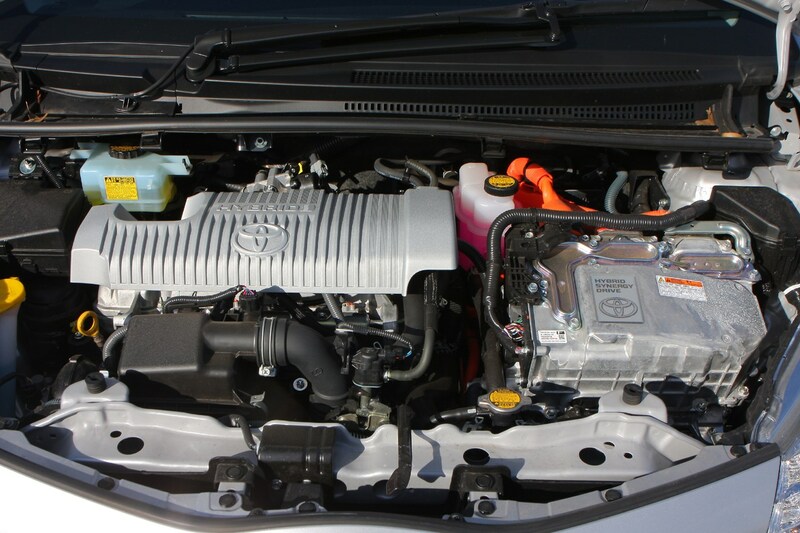 Key elements of the Yaris’s charm are its practical interior, reputation for reliability, and the ease-of-use and urban efficiency of the petrol-electric hybrid powertrain. 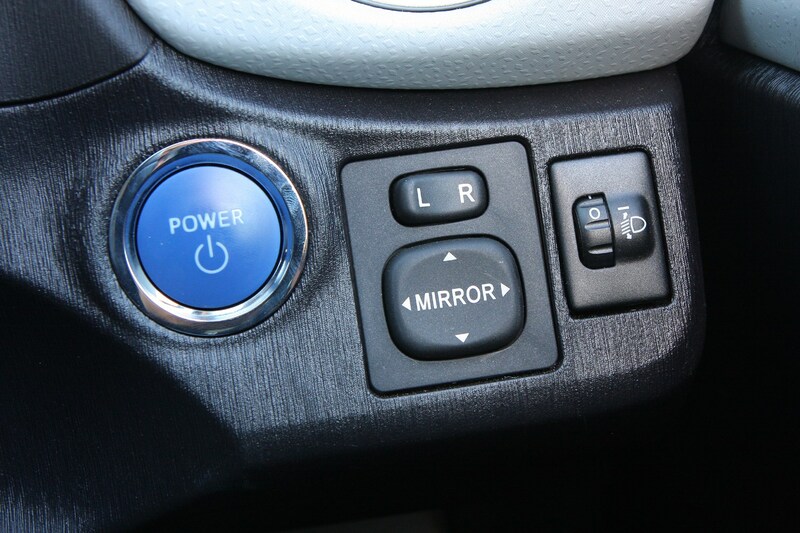 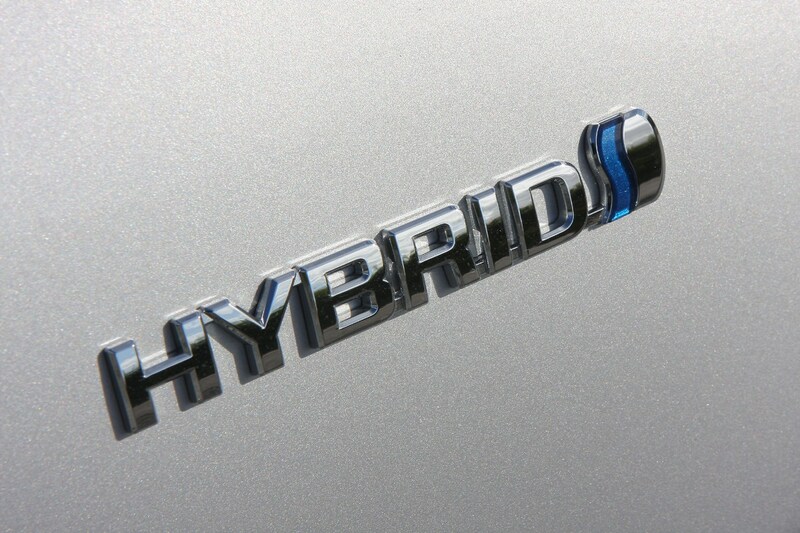 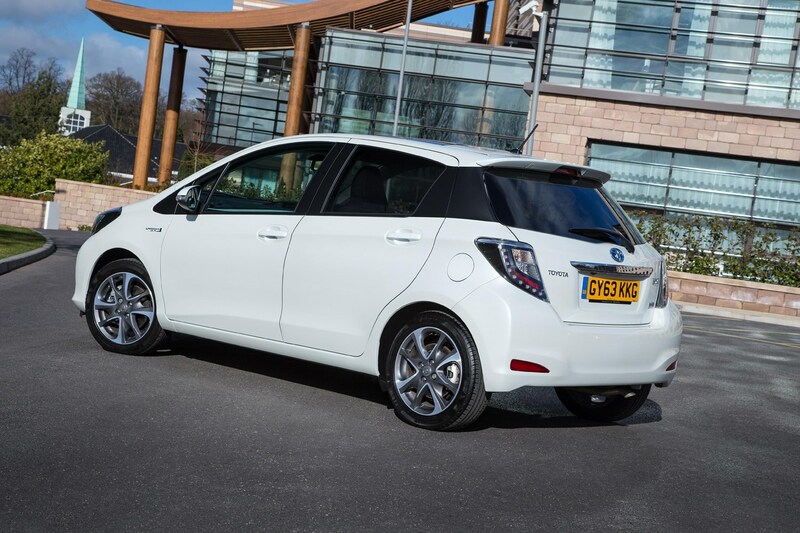 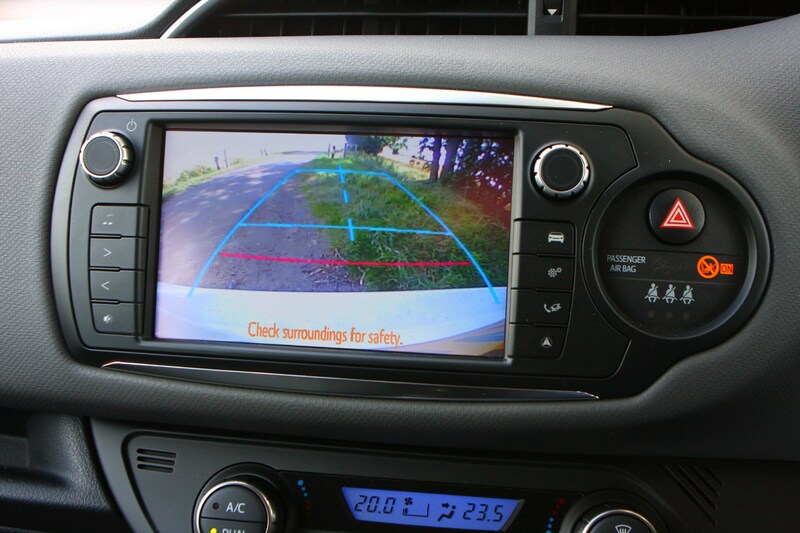 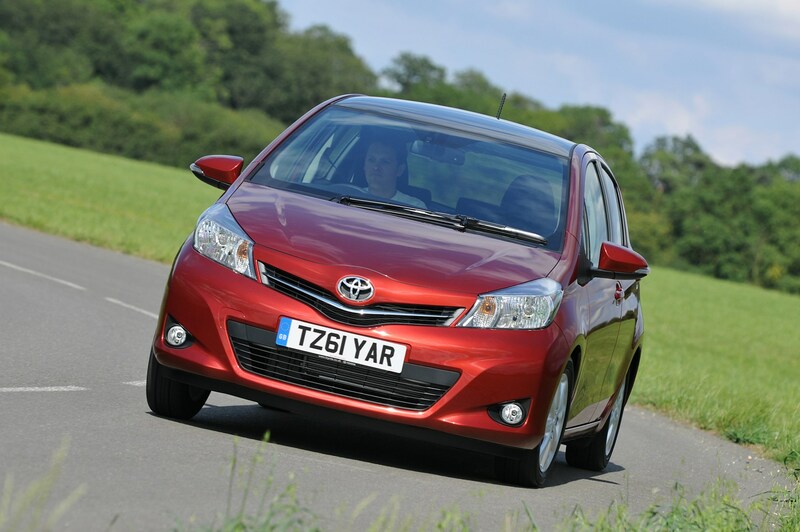 The Toyota is unique in this segment in offering such a system, as the Honda Jazz is no longer available as a hybrid. 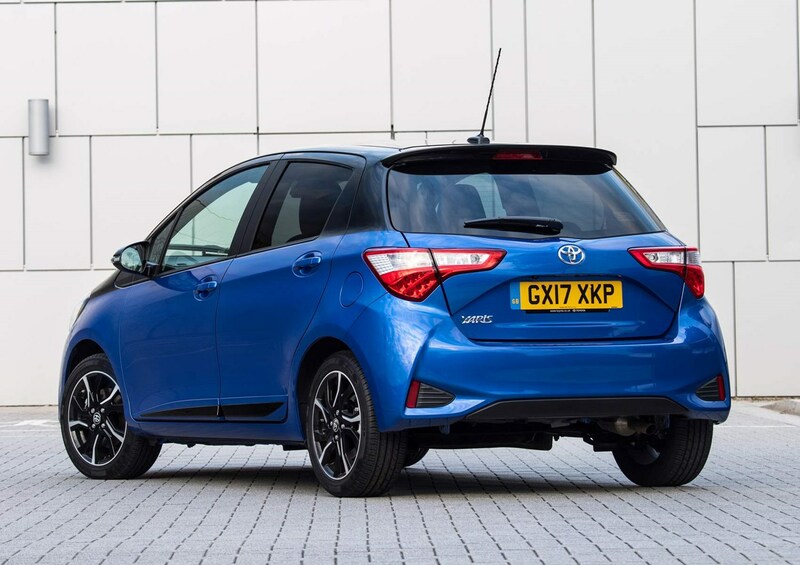 With two significant facelifts within six years of its original launch in Britain, the Yaris must run Cher close in terms of physical makeovers. 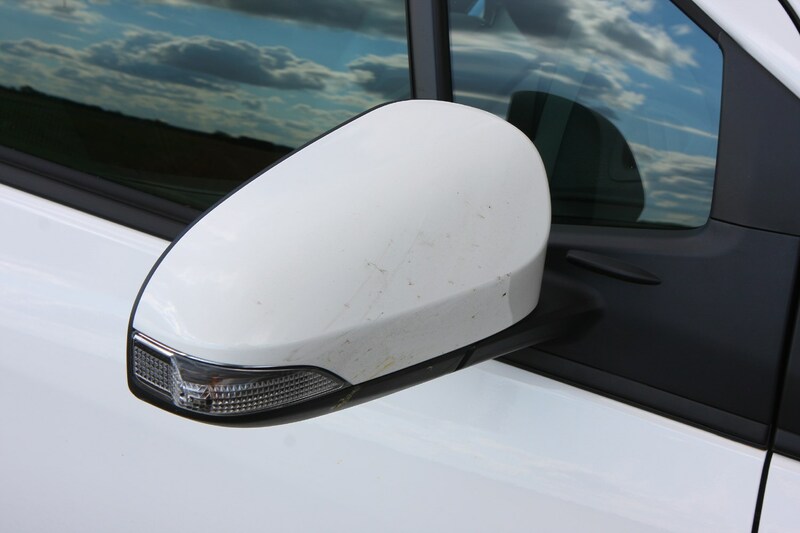 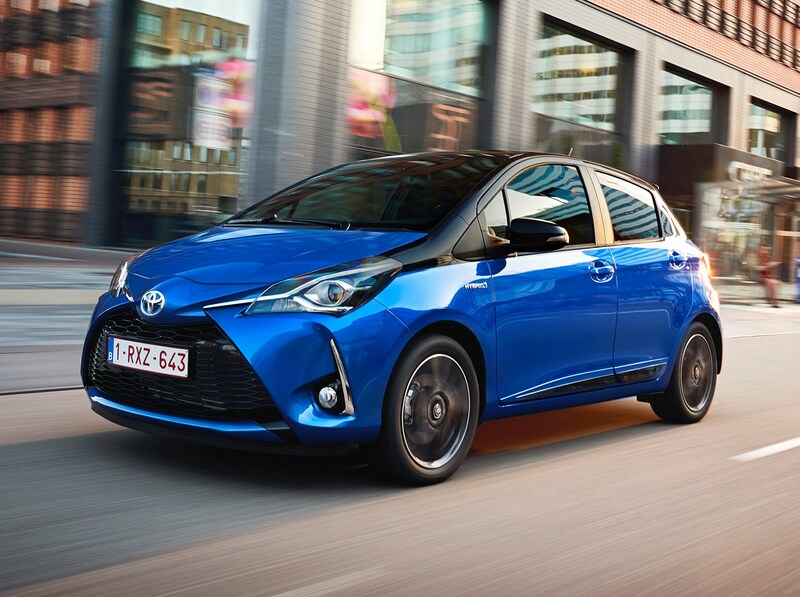 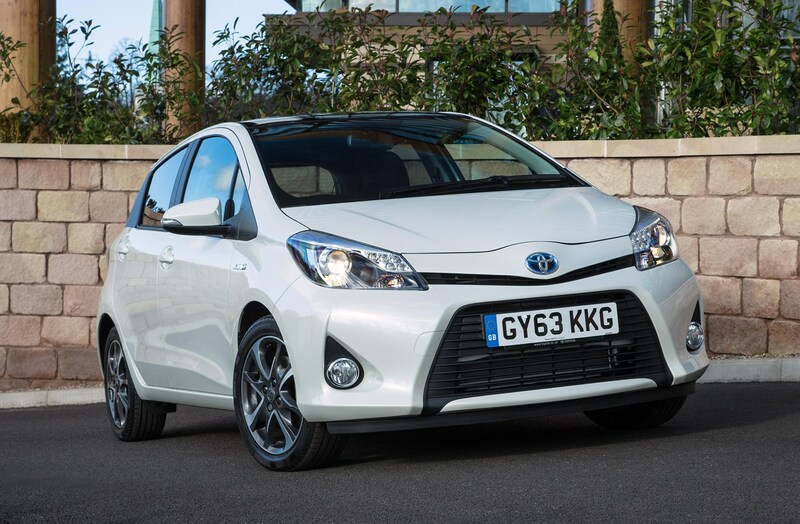 Revisions in 2014 focused on transforming the front-end styling, while the 2017 modifications are particularly obvious at the rear, where horizontal tail lamps are bisected by the hatch, with more tweaks made to the front that bring it into line with the smaller Toyota Aygo. 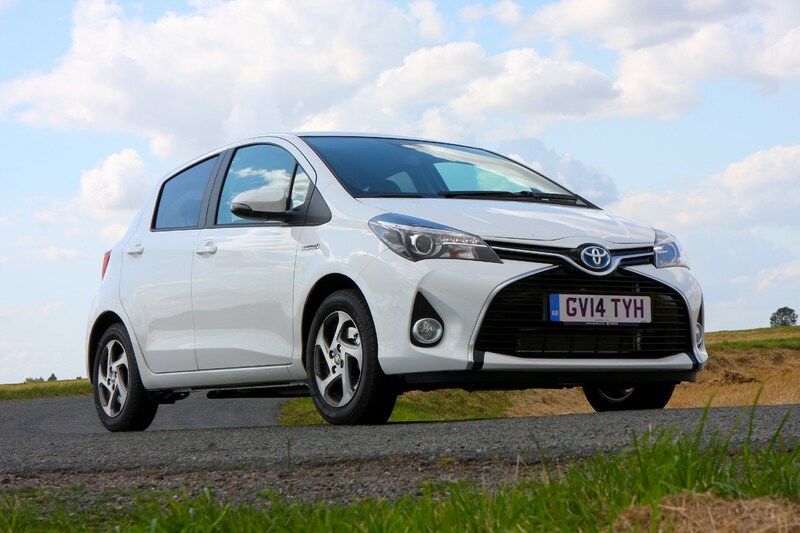 In total, Toyota boasts of some 900 fresh elements for the Yaris, although without them being highlighted in high-viz yellow, you’d be hard-pressed to spot them. 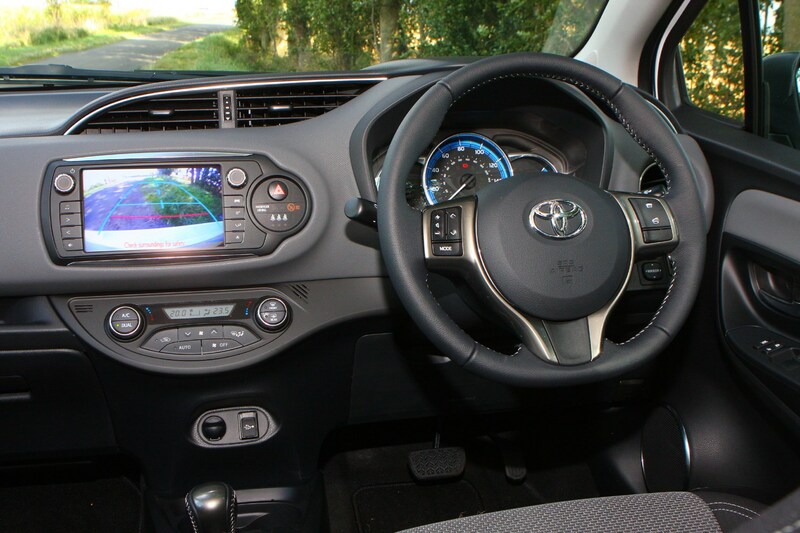 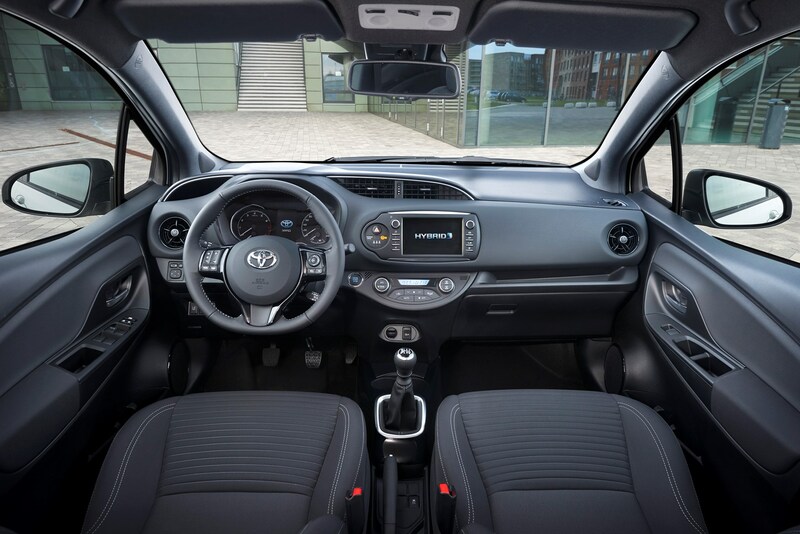 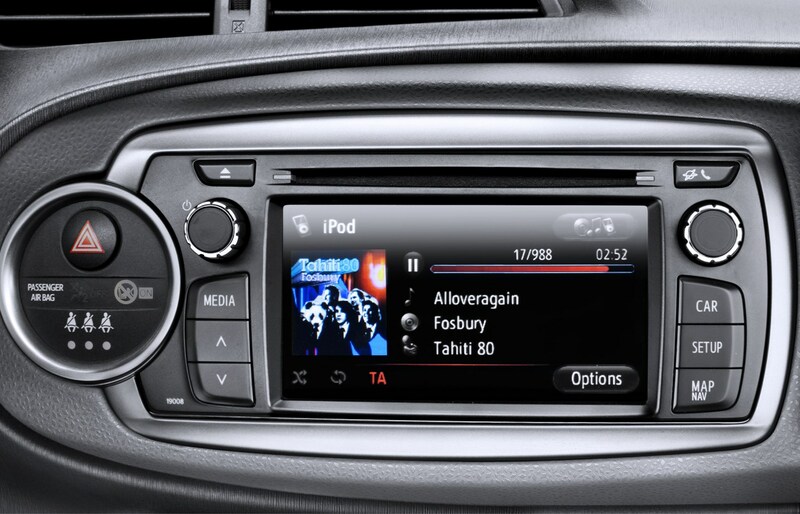 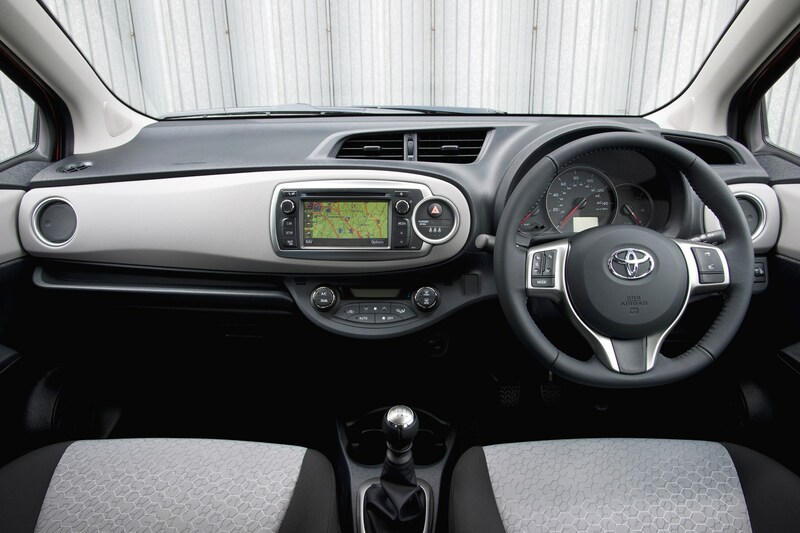 The interior’s also been titivated with some new colour schemes and an improved multimedia system, but it still trails some of its more modern rivals and their more responsive touchscreen infotainment systems. 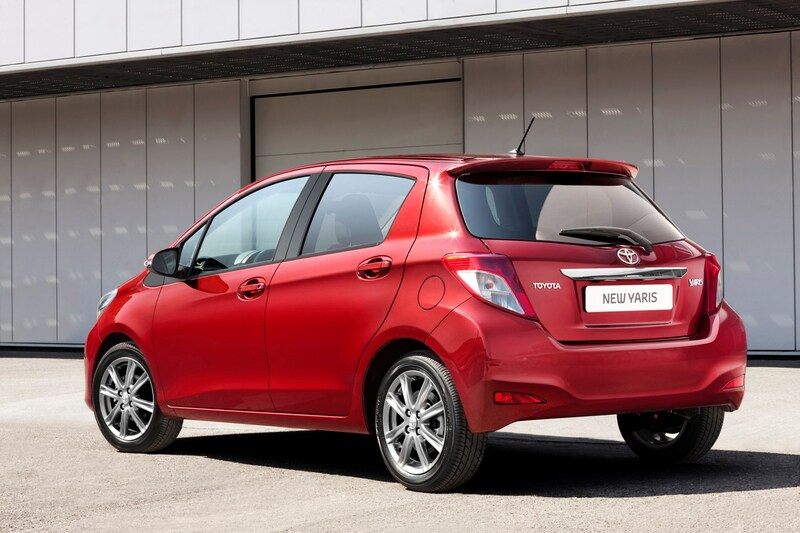 It’s also worth noting what ceased to be available post-2017’s facelift: gone are the diesel-engined variants along with the three-door bodystyle. 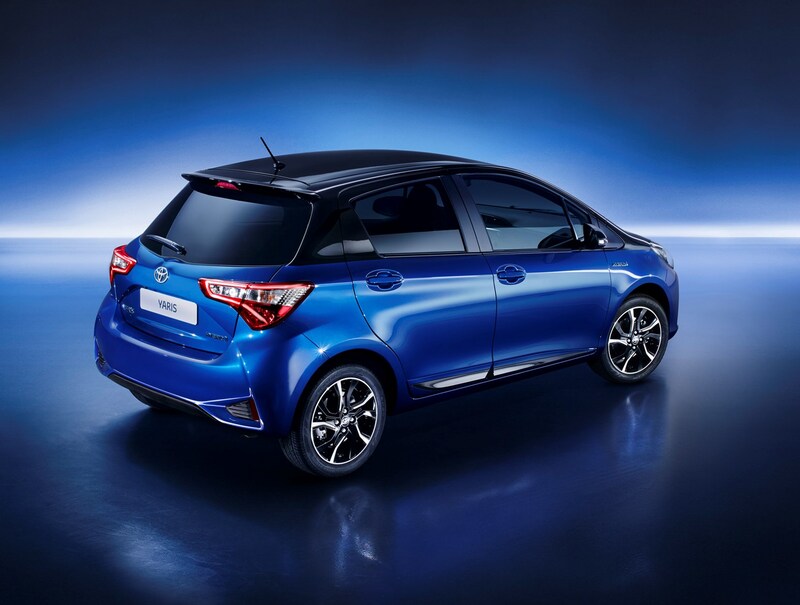 Sensibly Toyota’s consolidating its efforts on the petrol- and hybrid-engined five-doors that sell better. 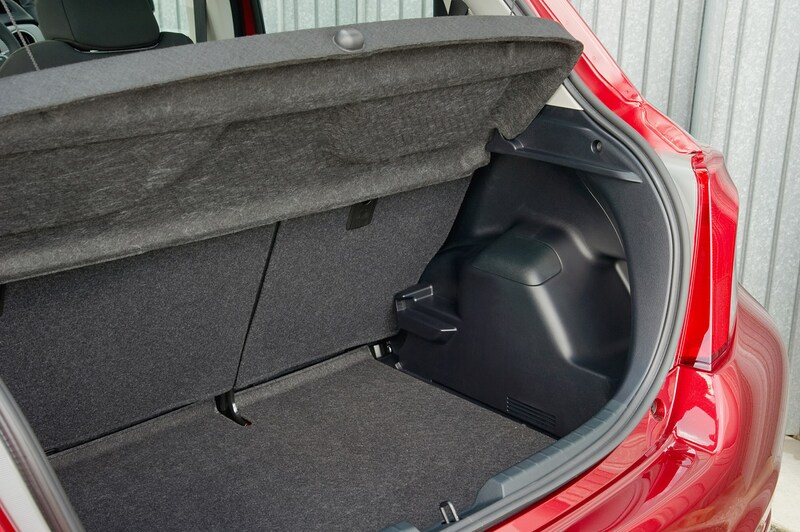 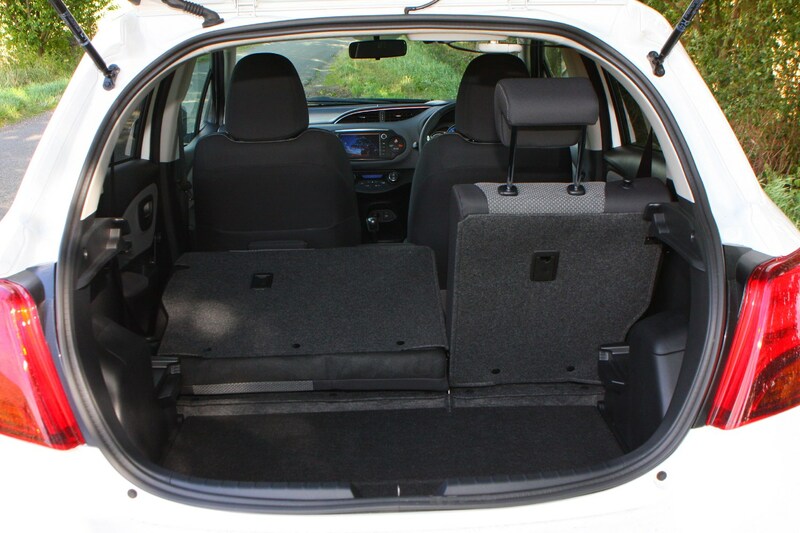 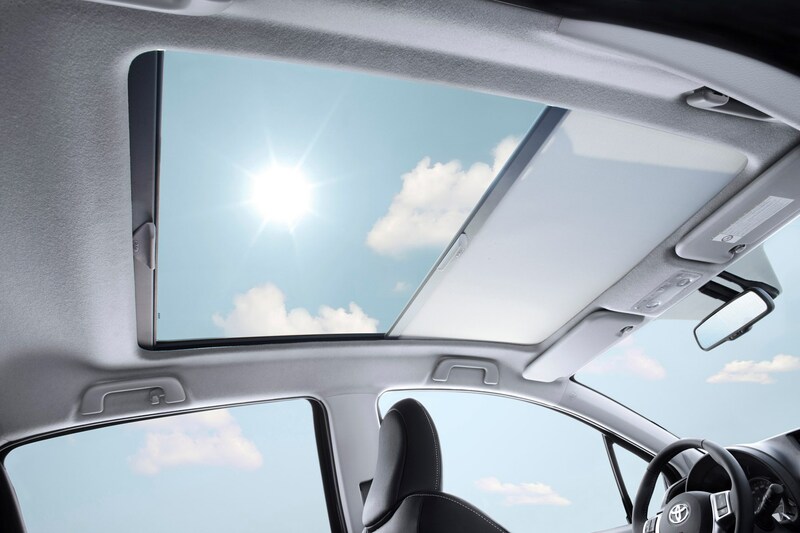 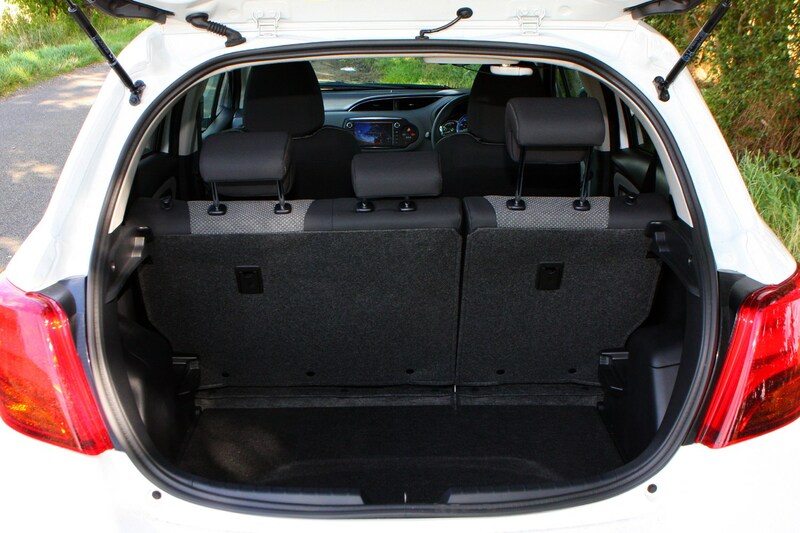 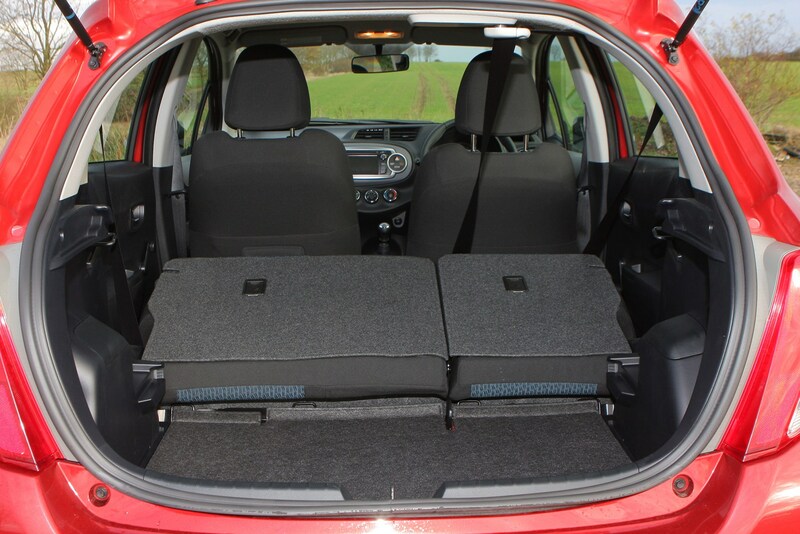 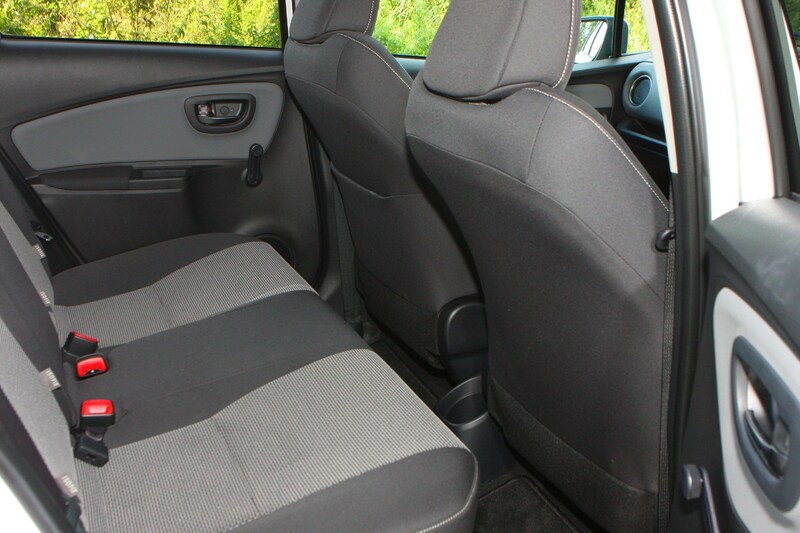 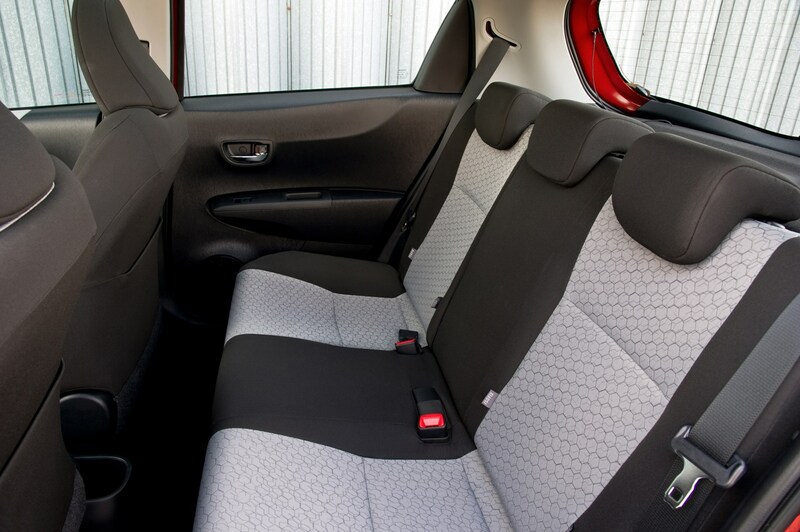 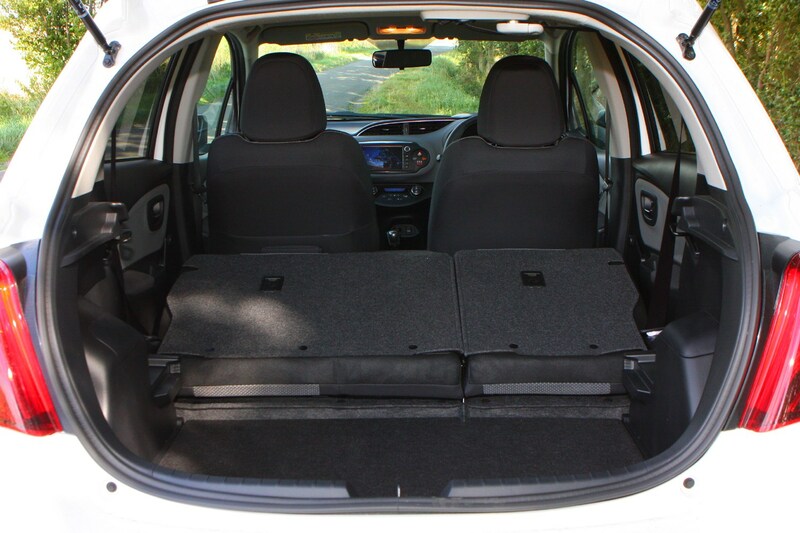 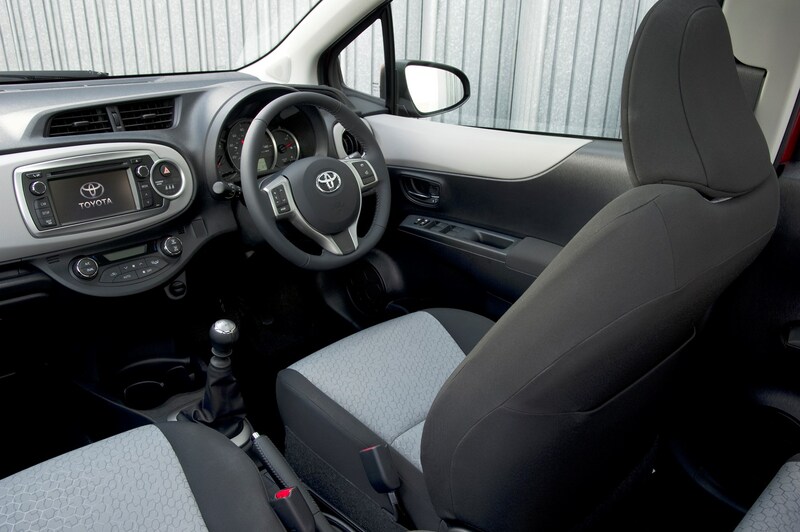 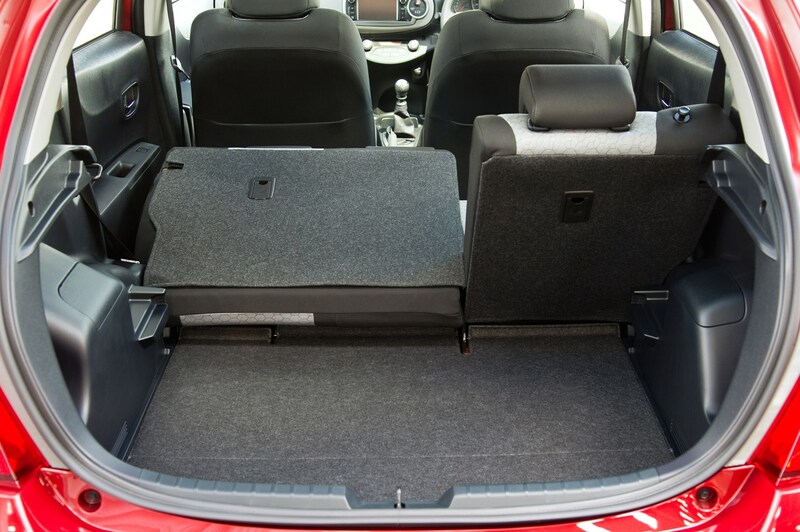 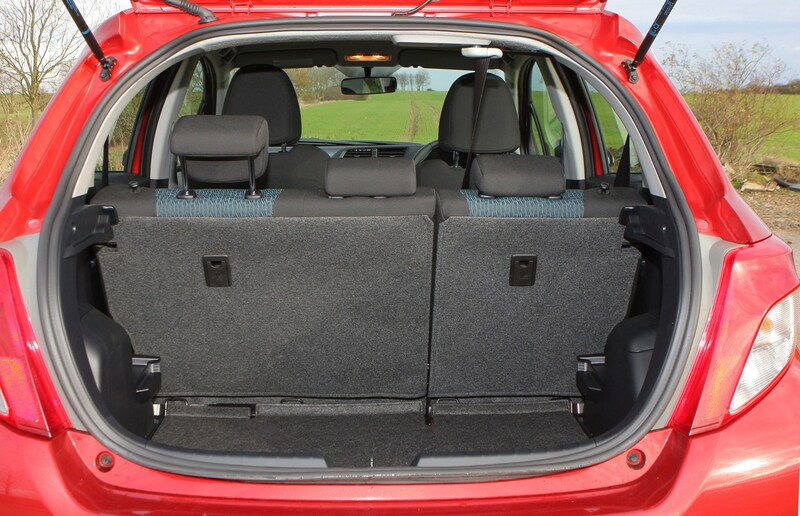 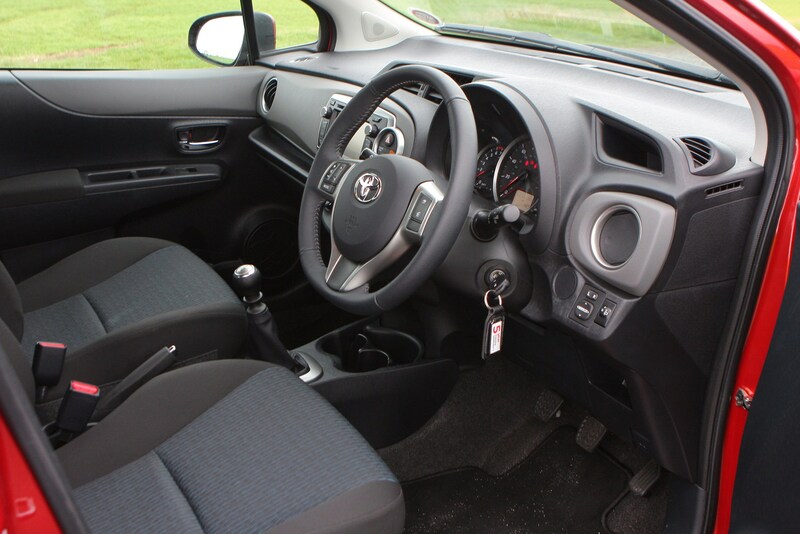 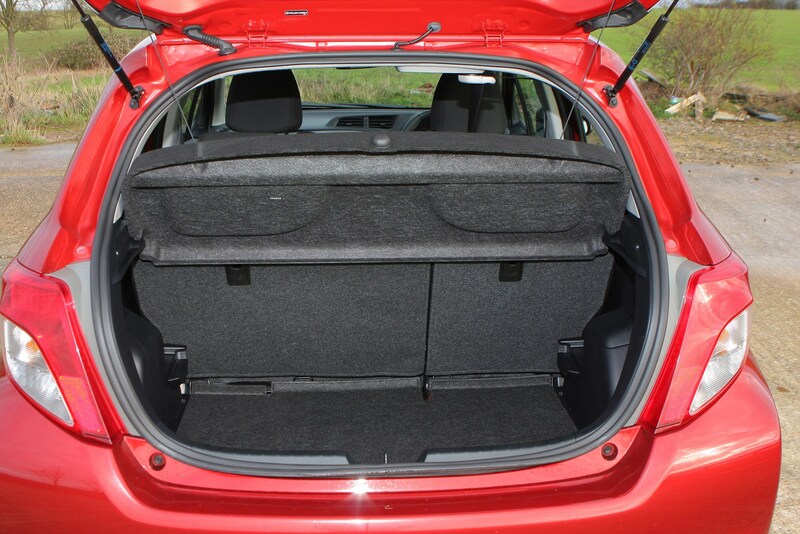 The Toyota Yaris is one of the safest cars in its class thanks to every model coming with driver, passenger, side, curtain and driver’s knee airbags to give a total of seven. 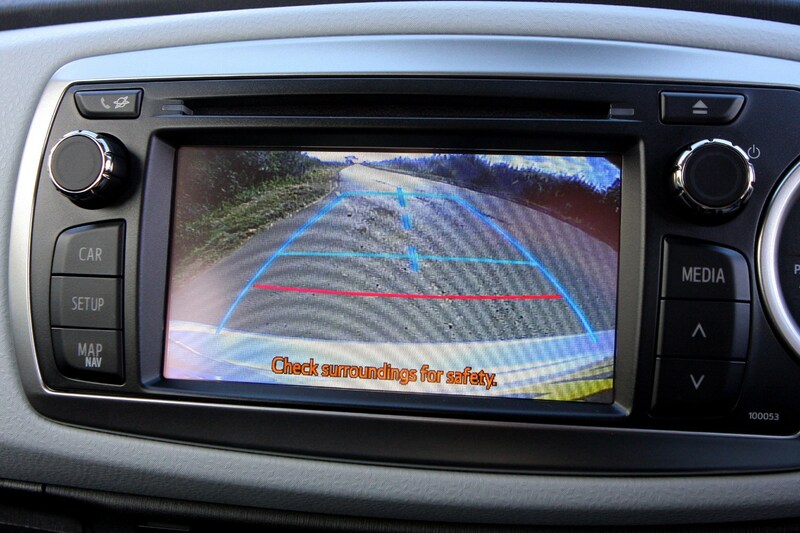 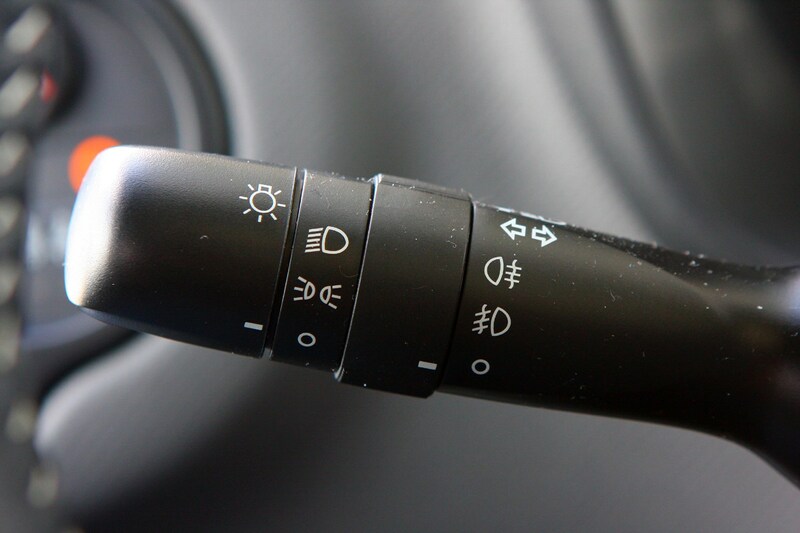 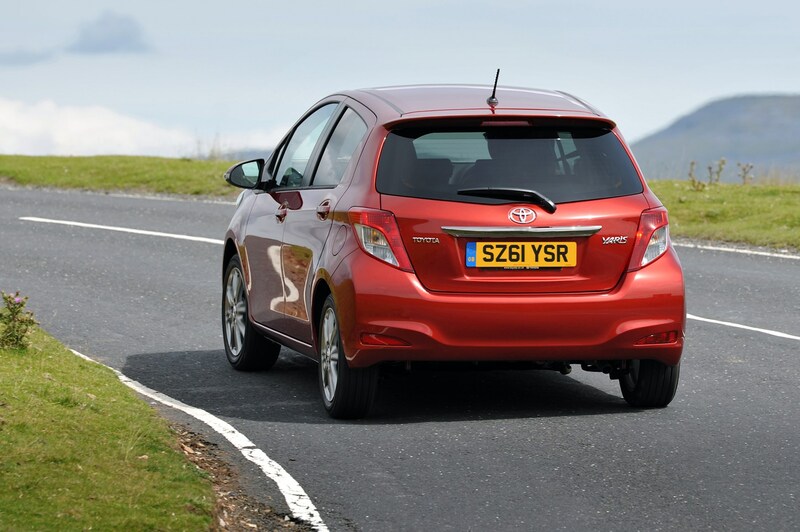 Toyota’s Electronic Stability Control system also keeps it on the right track even in slippery conditions. 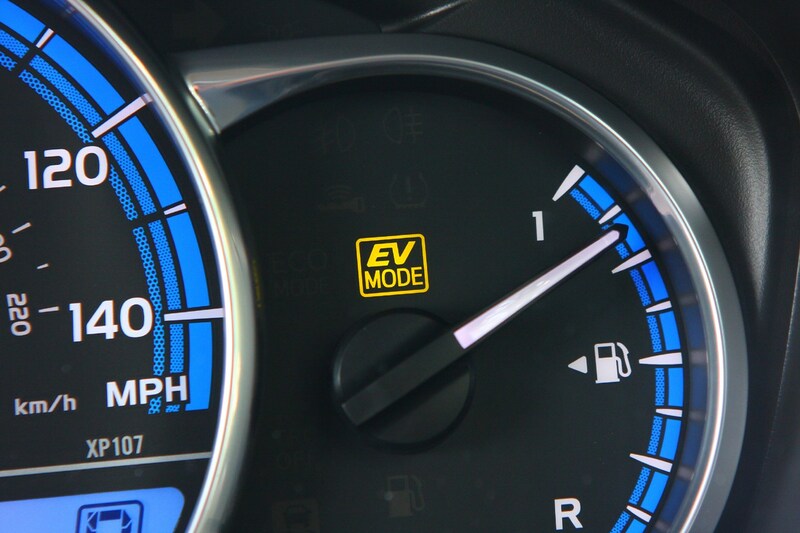 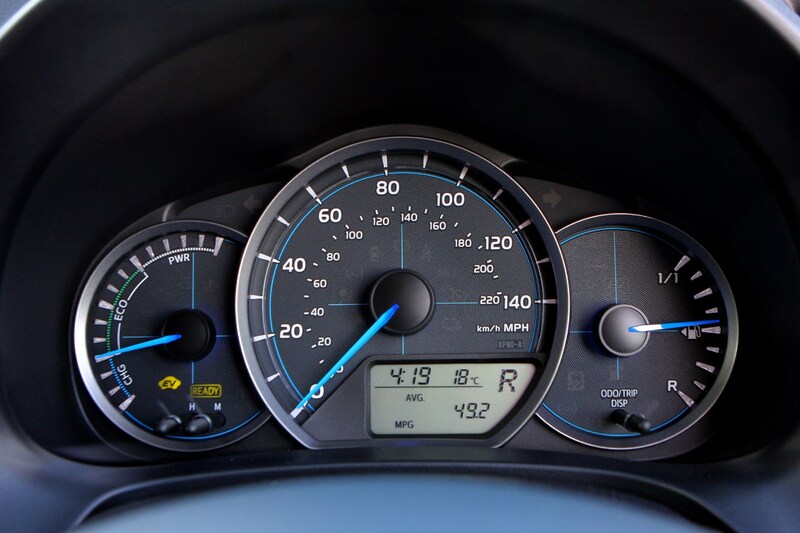 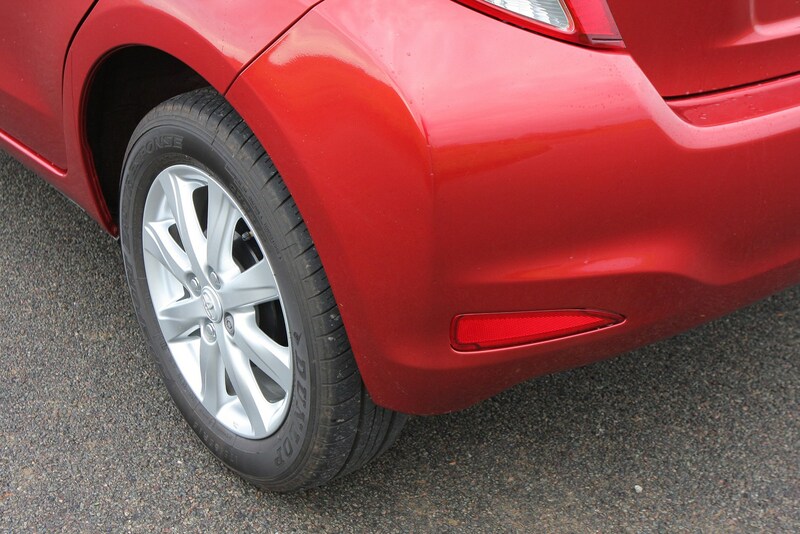 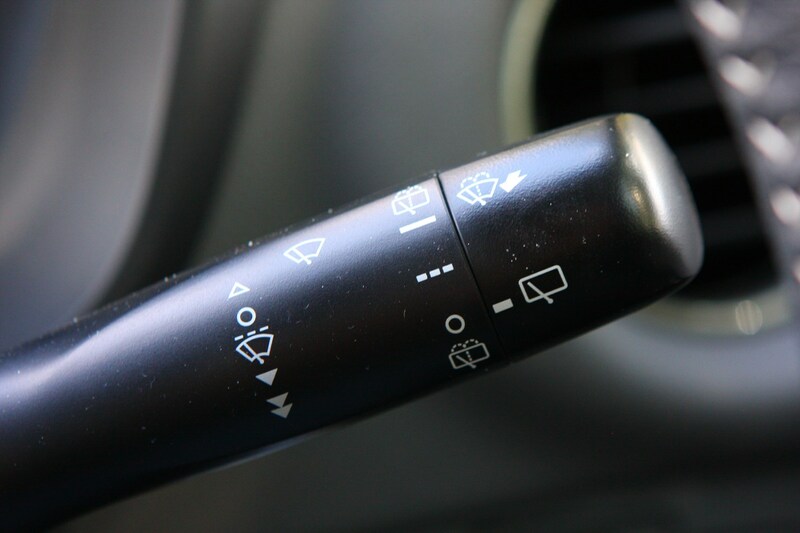 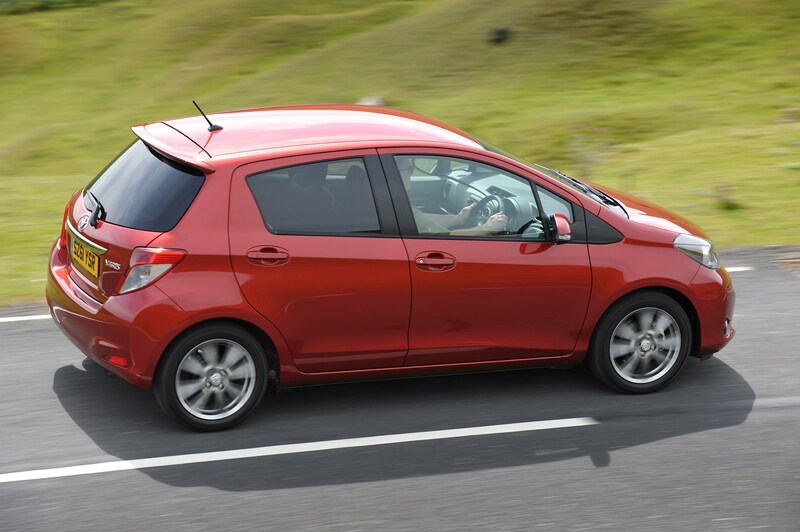 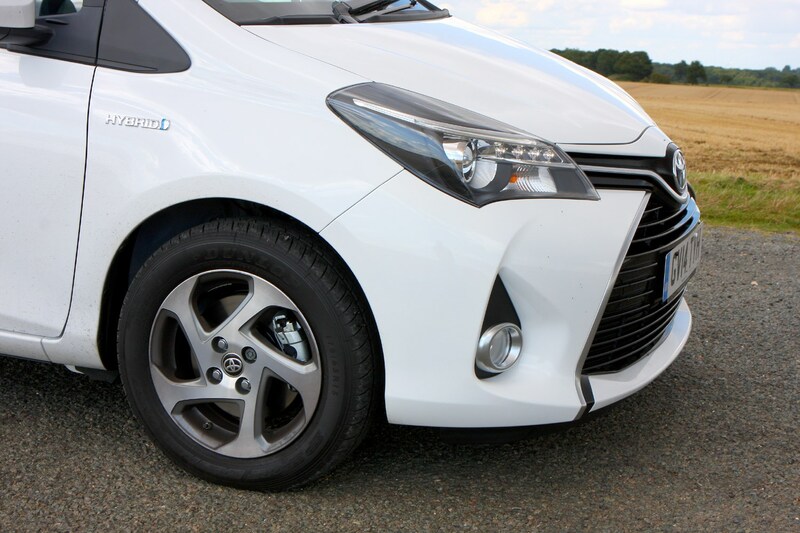 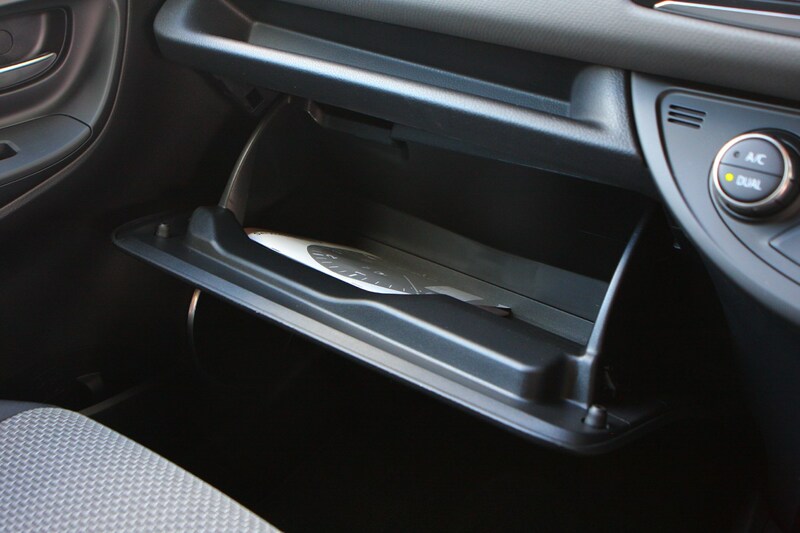 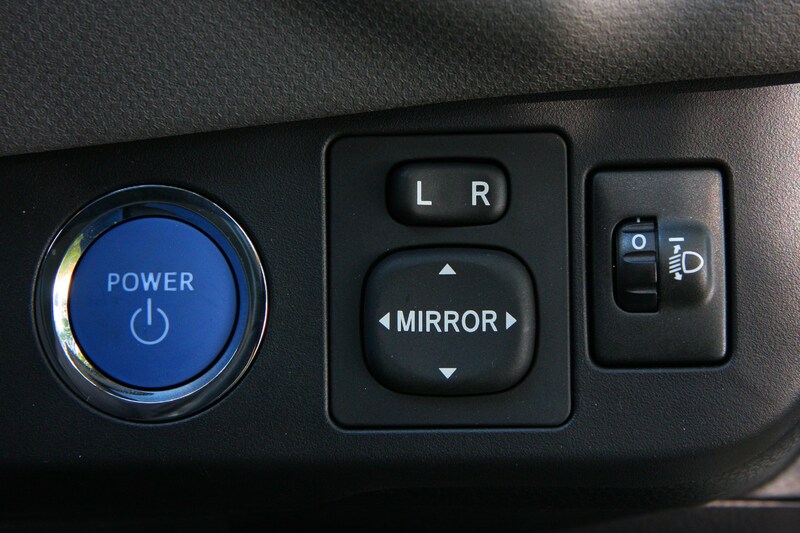 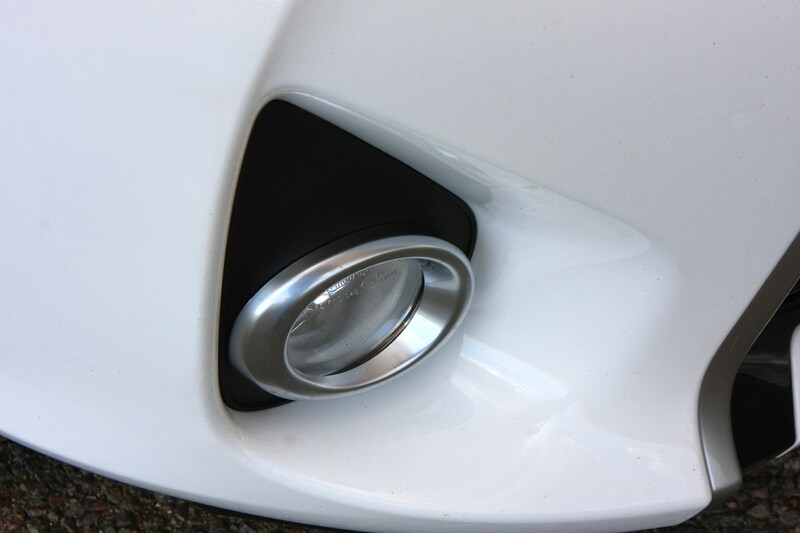 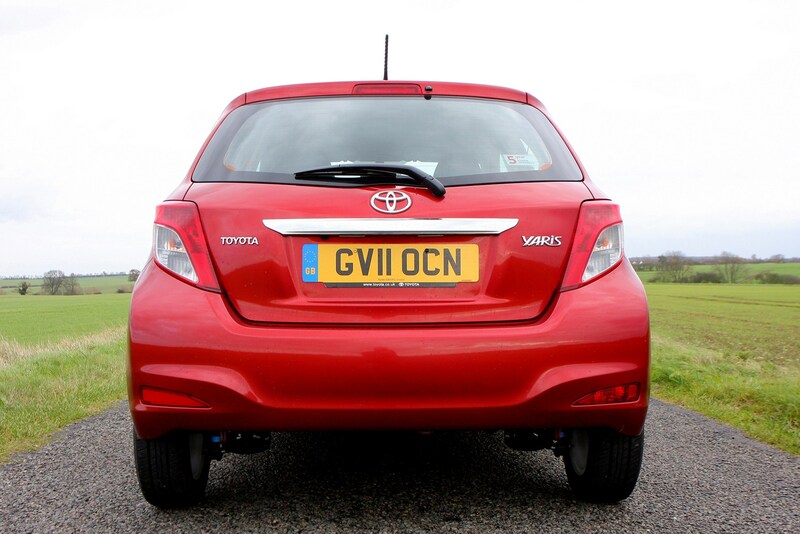 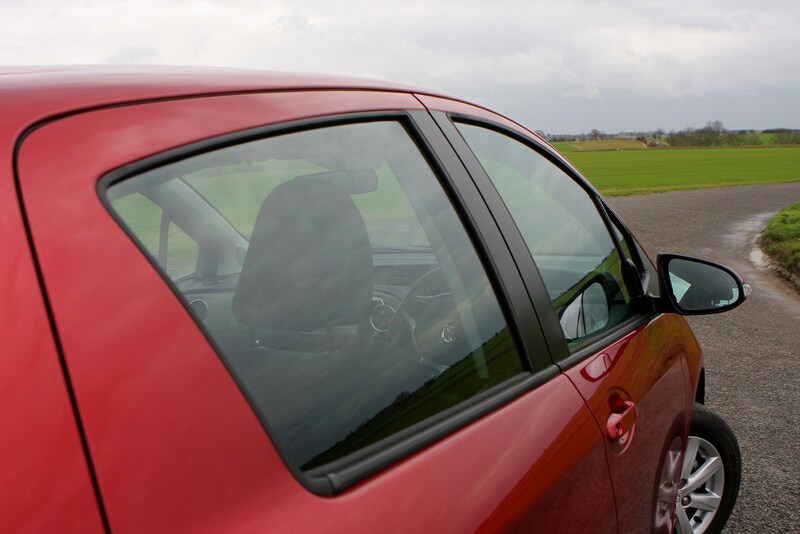 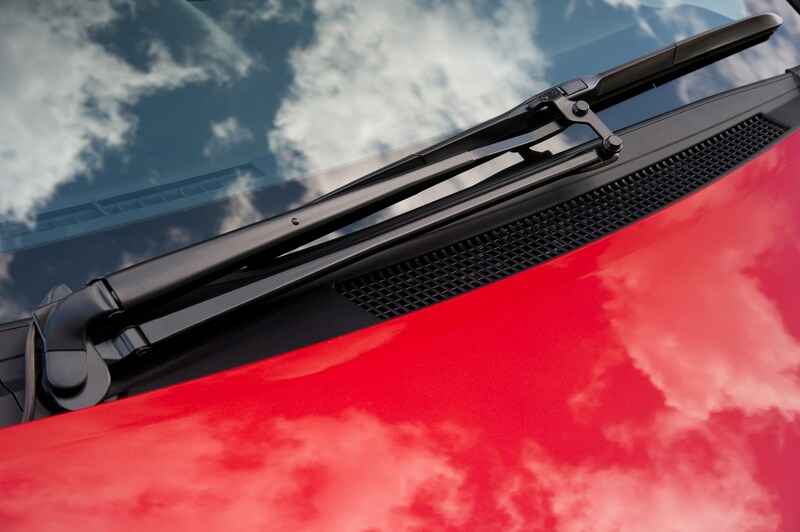 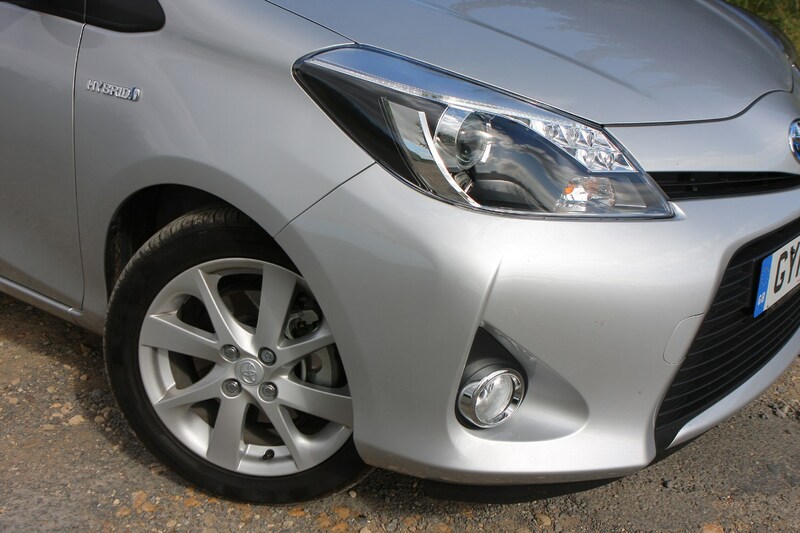 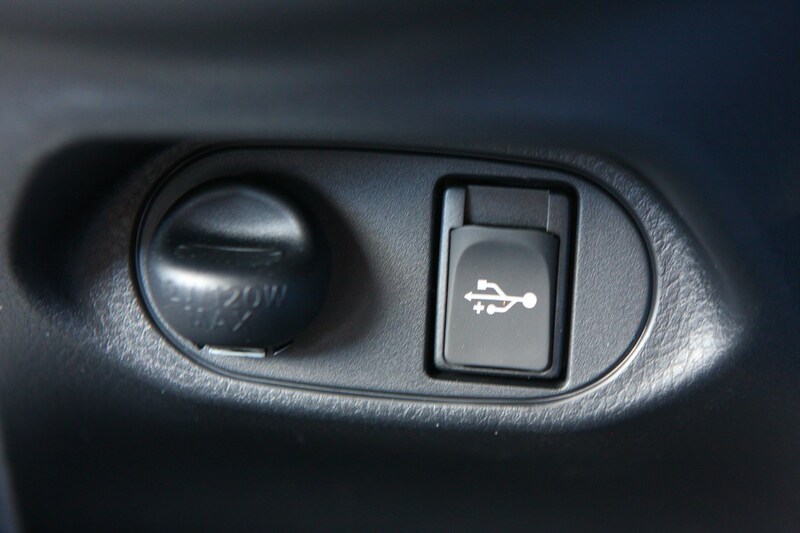 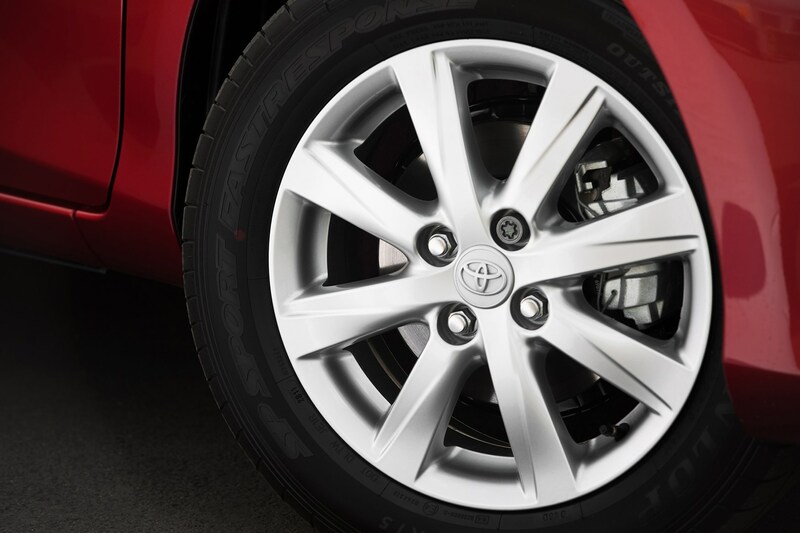 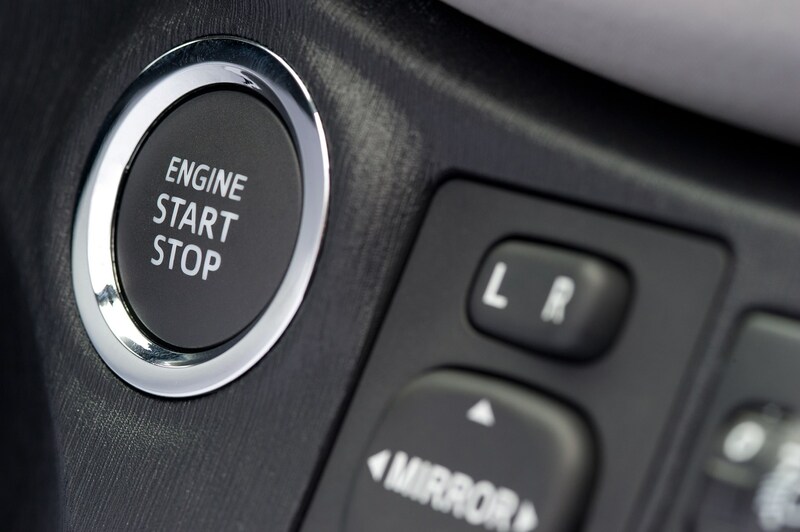 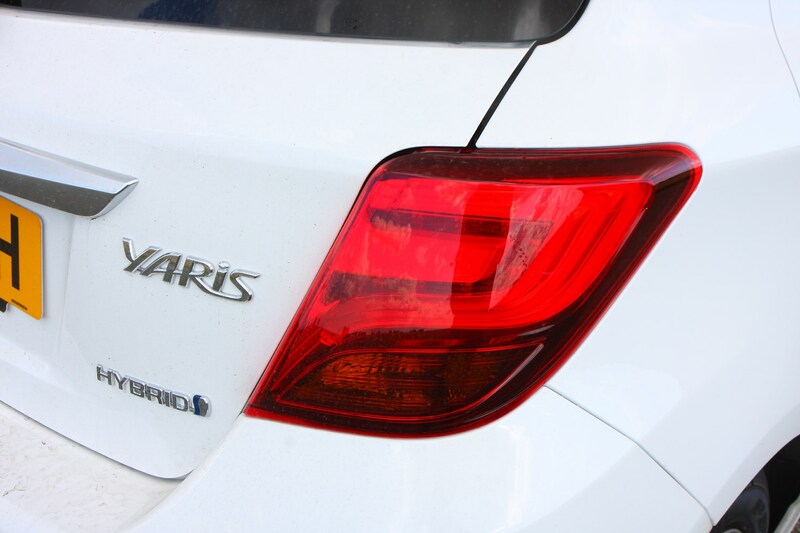 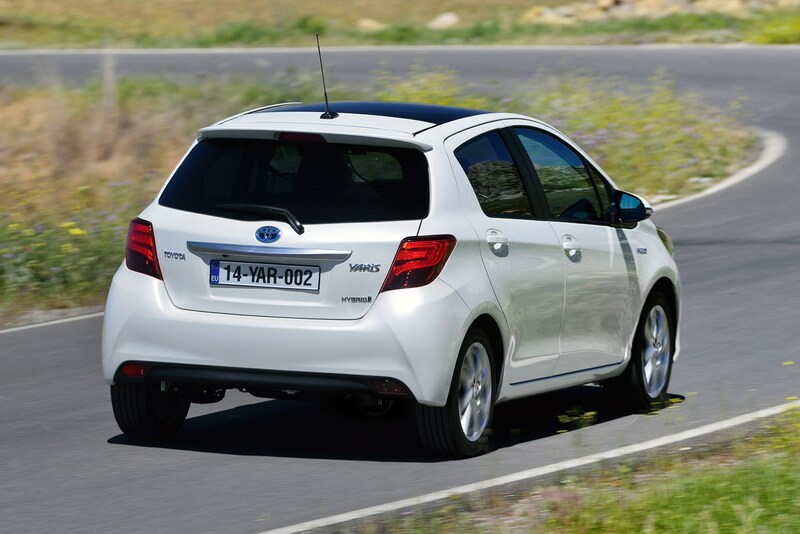 Anti-lock brakes work in conjunction with emergency brake assist to apply full pressure on the brakes in critical conditions, while brakeforce distribution makes sure the stopping power is sent to where it can best be used to slow the Yaris as quickly and effectively as possible. 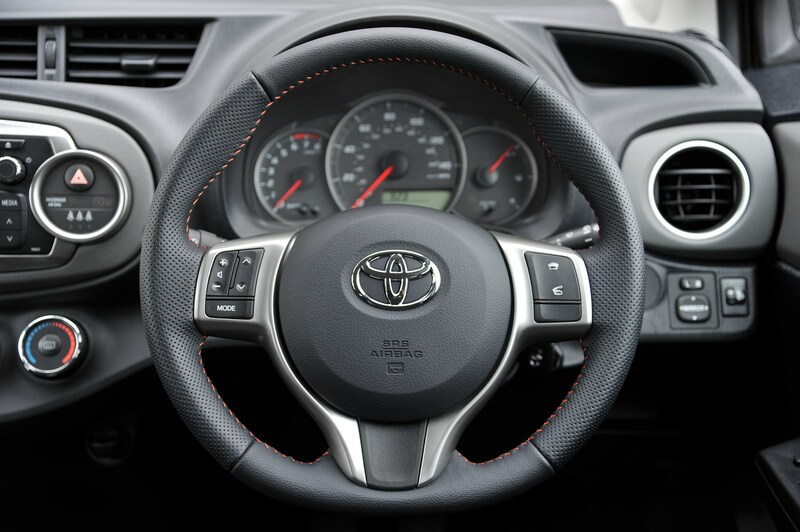 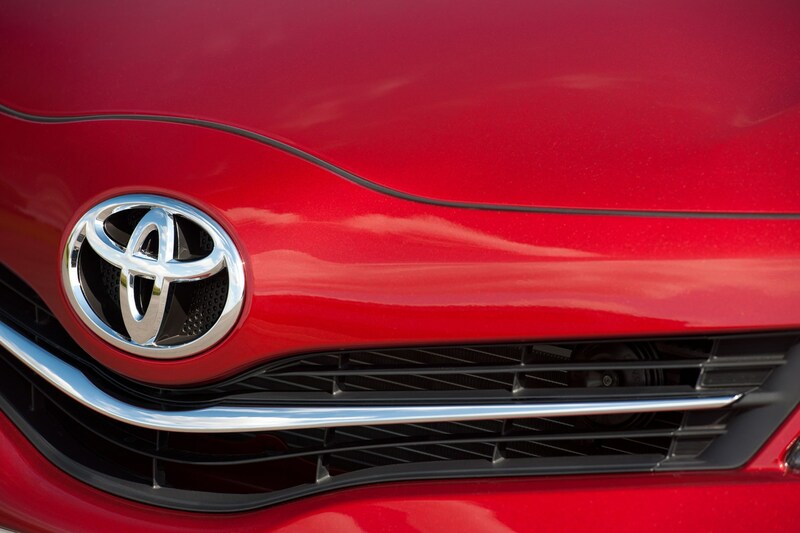 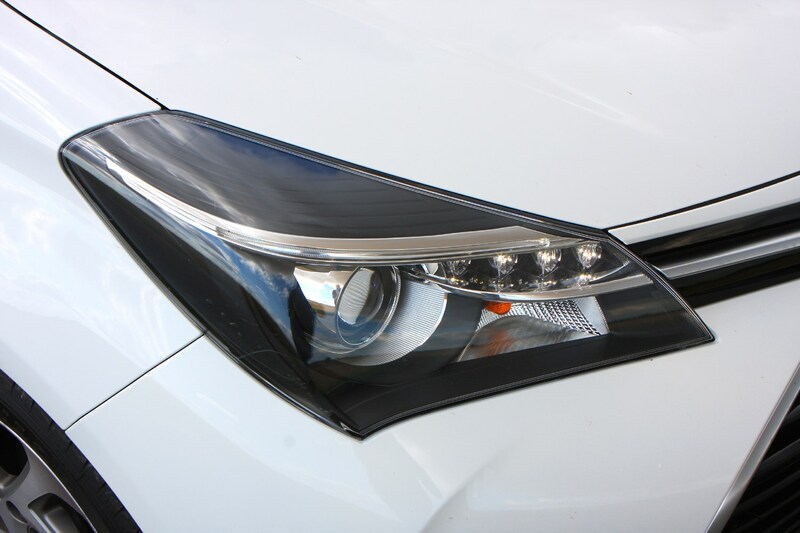 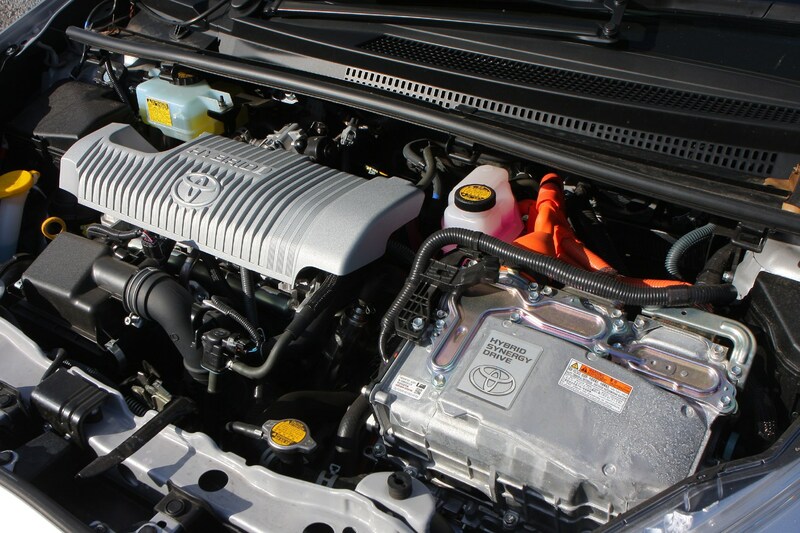 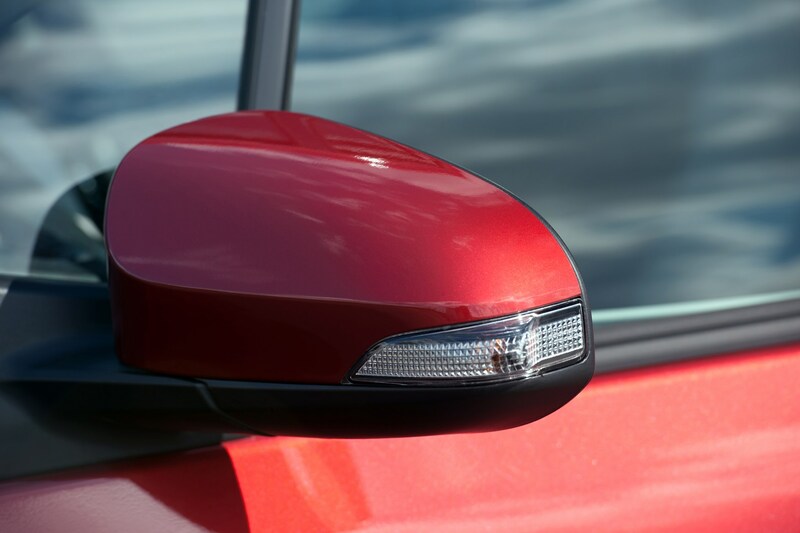 Optional from 2015 and standard from the 2017 facelift is Toyota Safety Sense package, bundling together automatic high-beam headlights, traffic sign recognition, lane-departure warning and a collision prevention system with autonomous emergency braking. 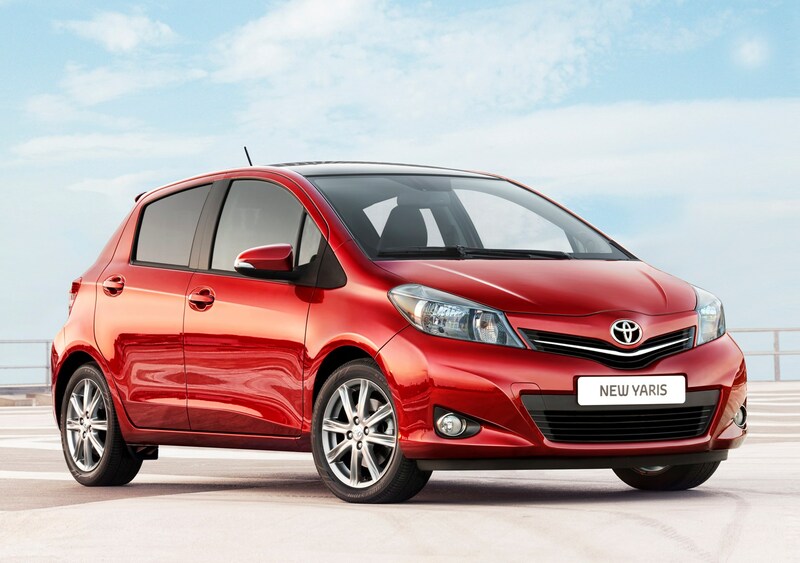 The model range is clearly biased towards sense and sensibility rather than fun. 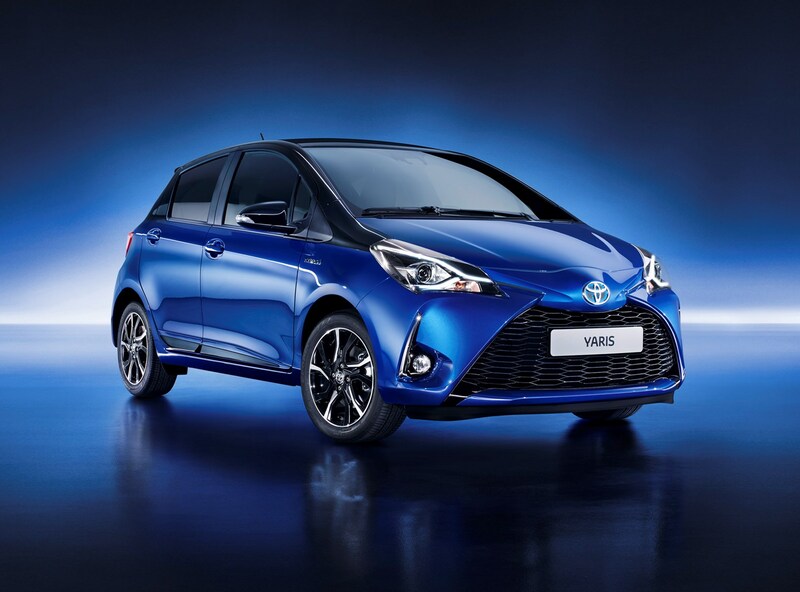 However, there’s also a Gazoo Racing-inspired – that’s Toyota’s motorsport division – Yaris GRMN armed with a 212hp supercharged 1.8-litre engine sticking out like a sore thumb. 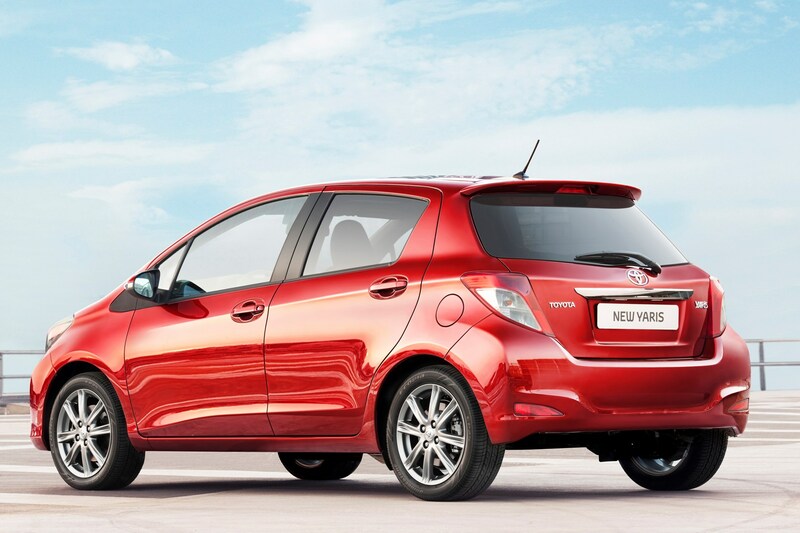 With no D-4D diesels in the line-up following the 2017 revisions, it’s a choice of petrol or hybrid, all geared-up for efficiency in urban environs rather than driving spirit on more open roads. 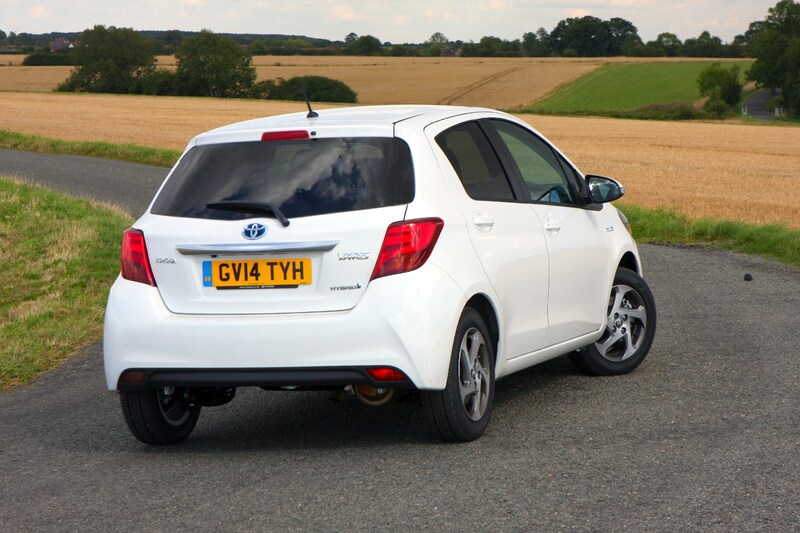 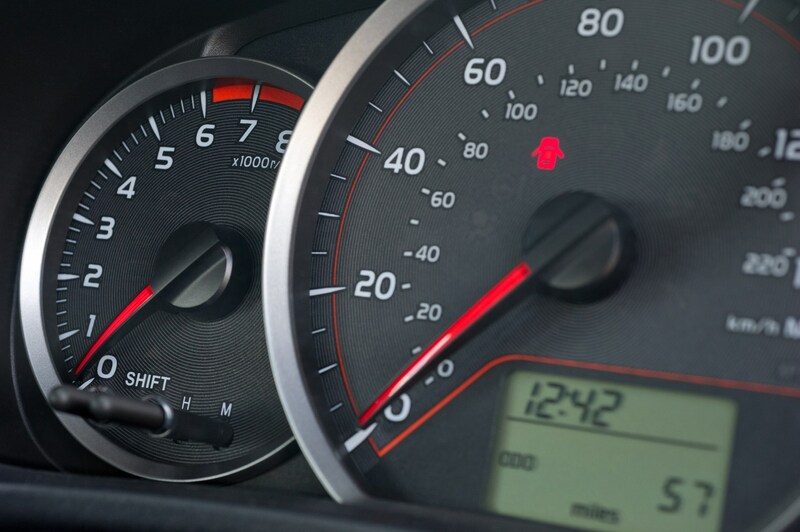 With 69hp, the three-cylinder 1.0-litre VVT-i is the slowest of the trio with a leisurely 0-62mph time of 15.3 seconds. 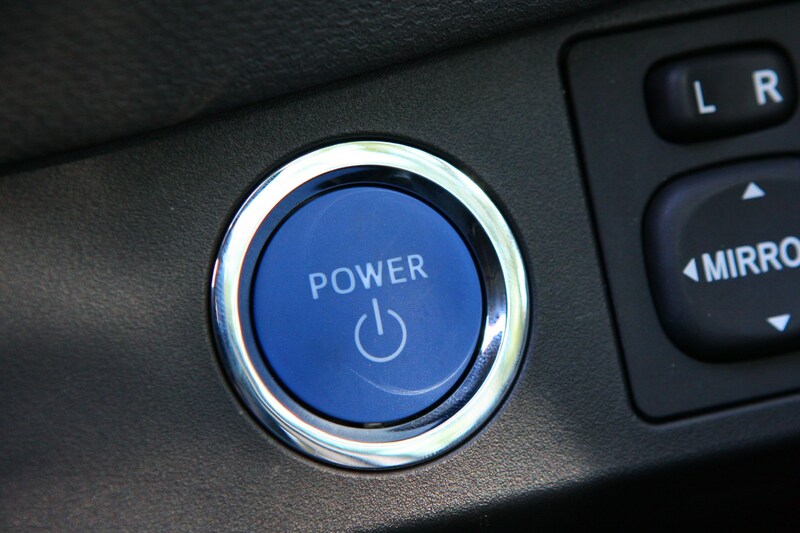 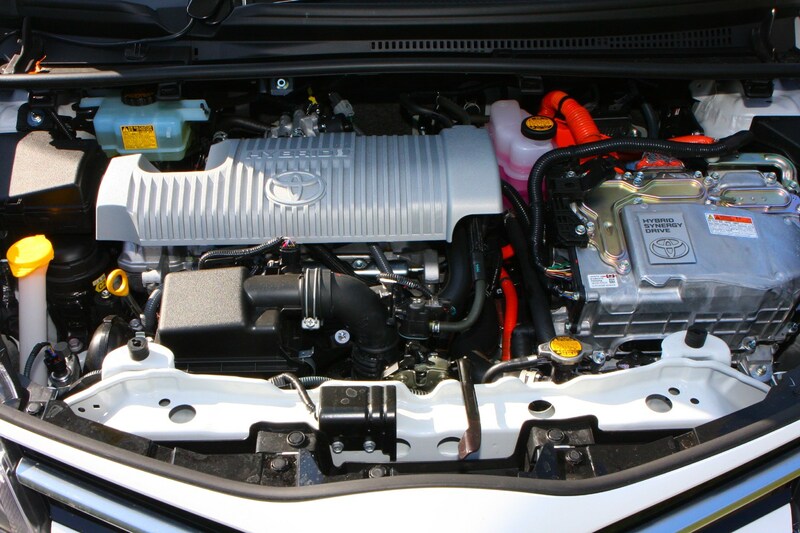 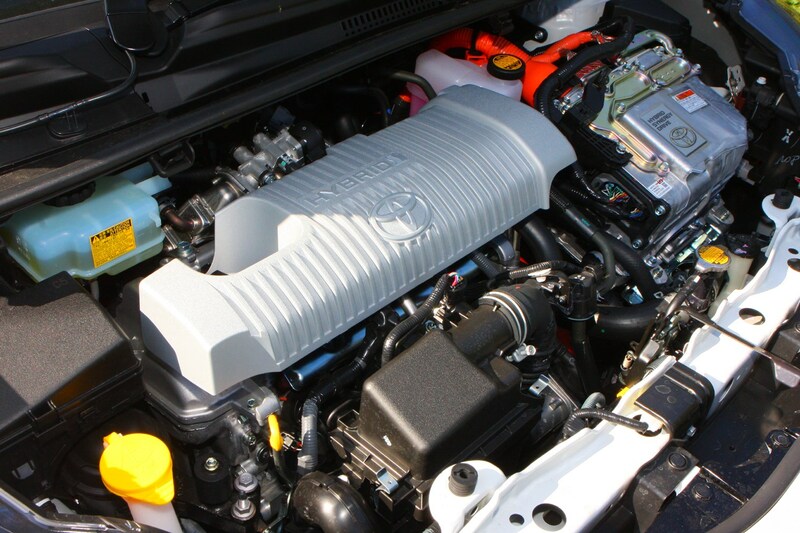 Making a better fist of things is the 1.5-litre VVT-i, replacing the smaller 1.33-litre unit from 2017. 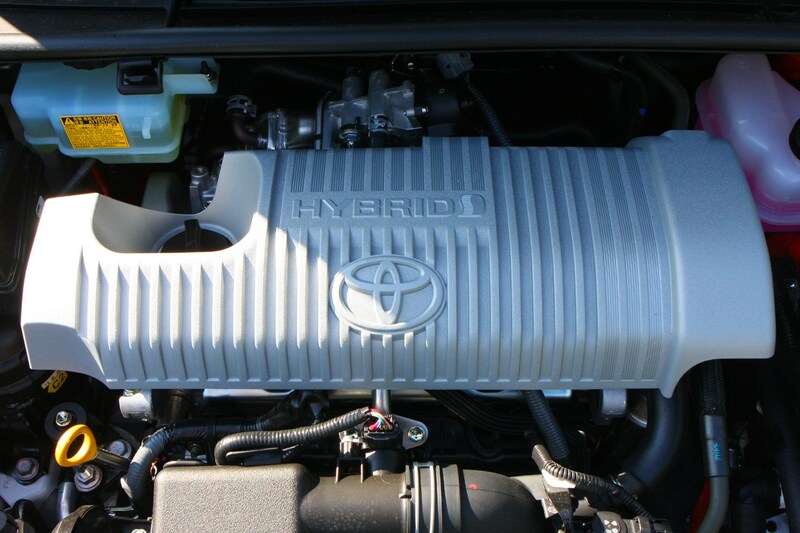 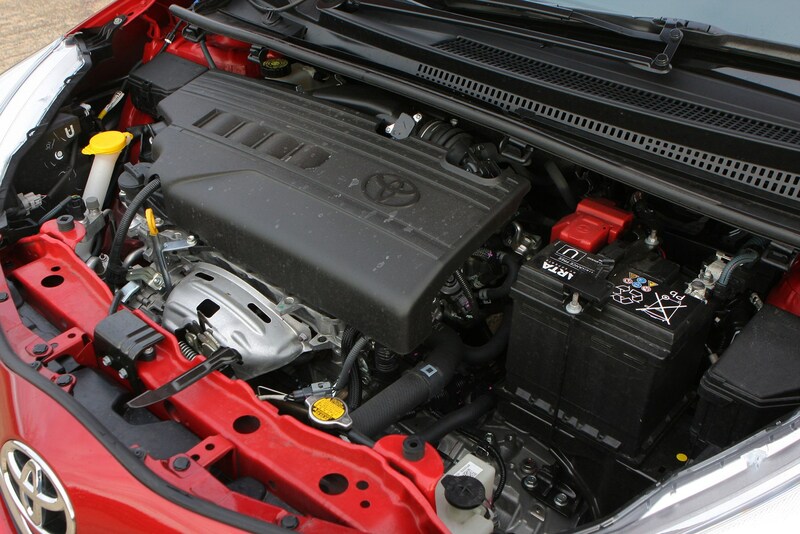 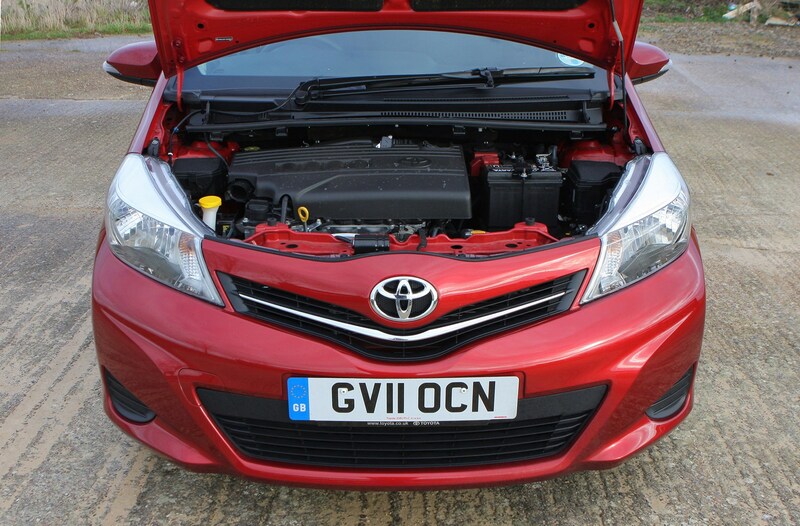 That said, its 111hp and 136Nm of torque still can’t get the Toyota to dip under the 10-second 0-62mph threshold. 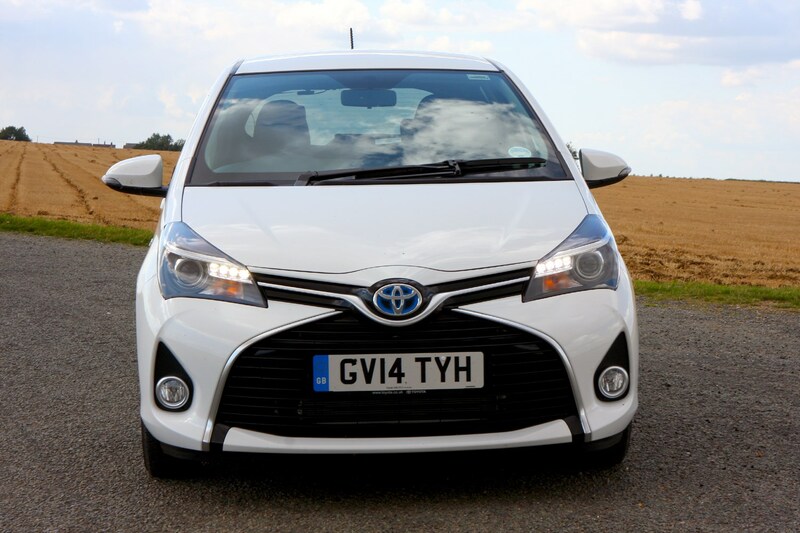 Most interesting – but only serving those who drive primarily in towns well – is the 1.5-litre VVT-i Hybrid, which over 40% of Yaris buyers opt for. 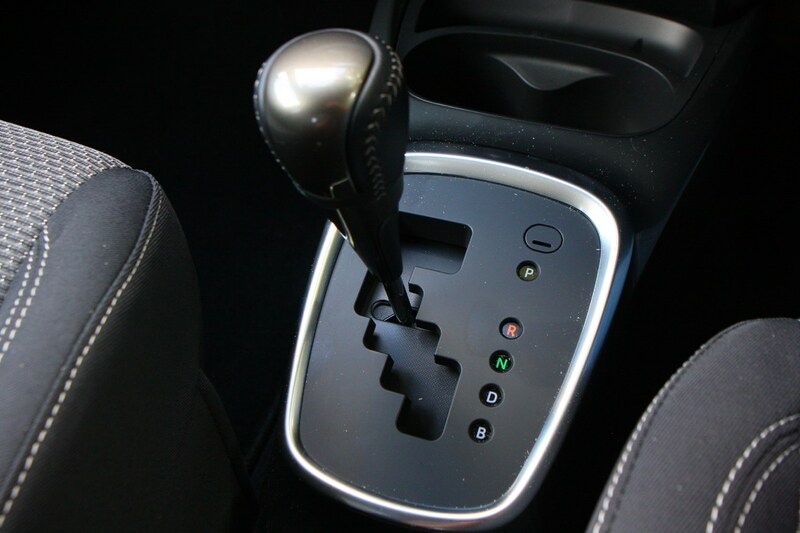 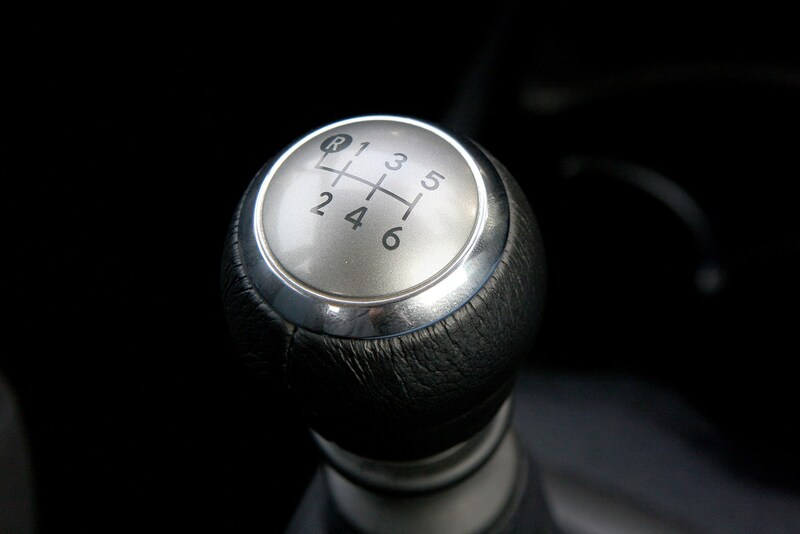 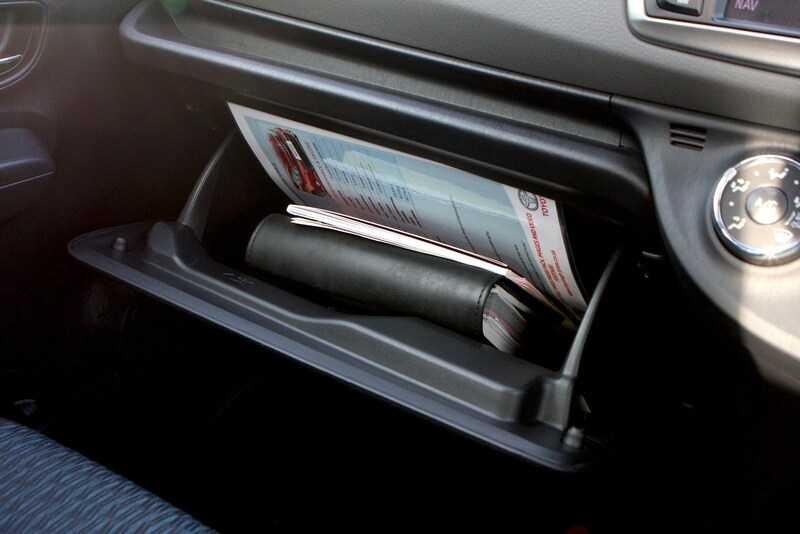 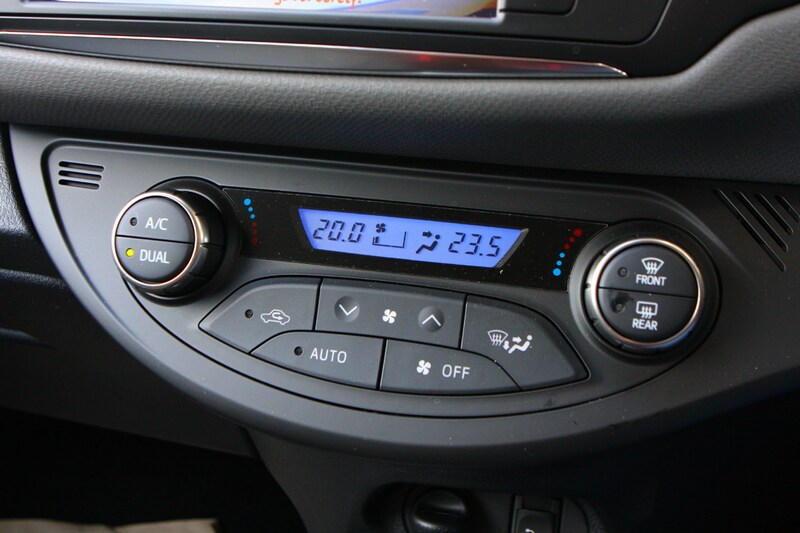 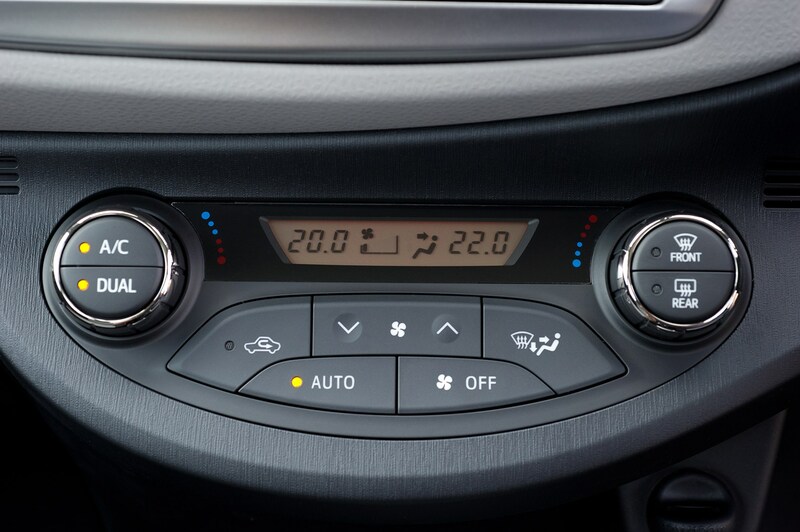 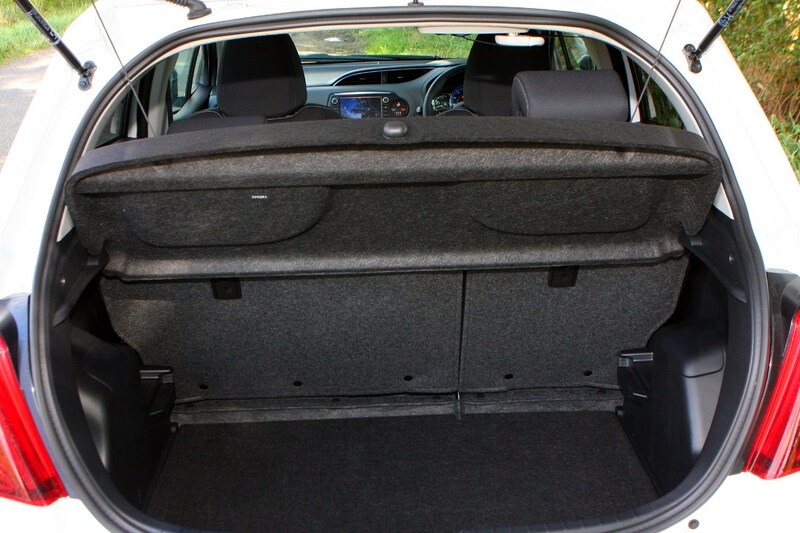 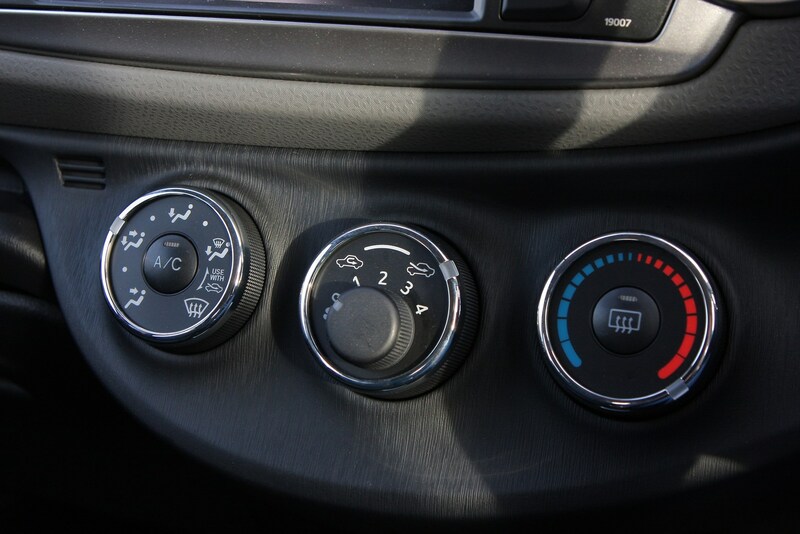 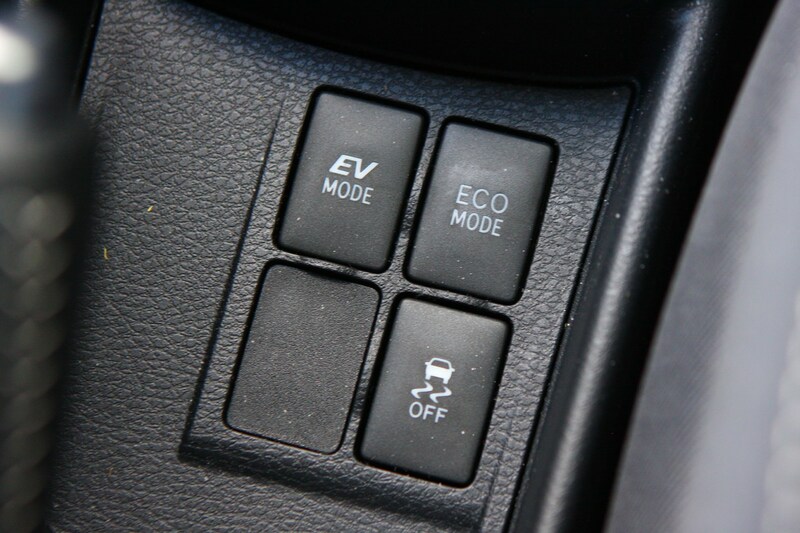 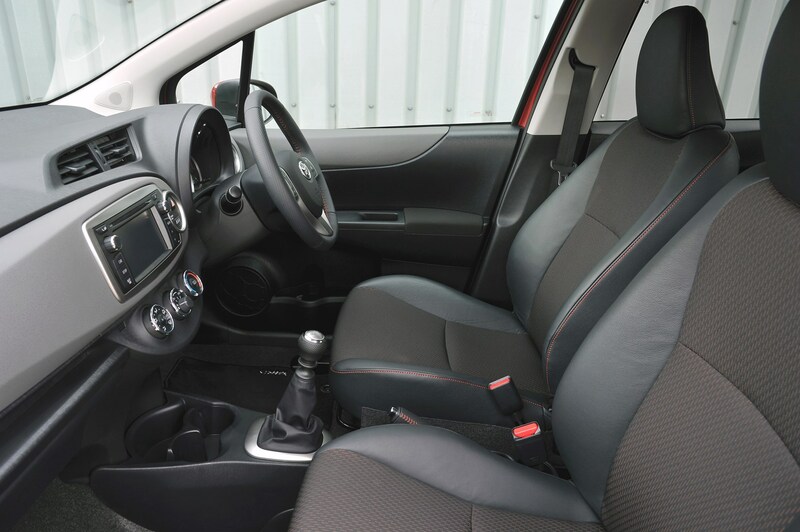 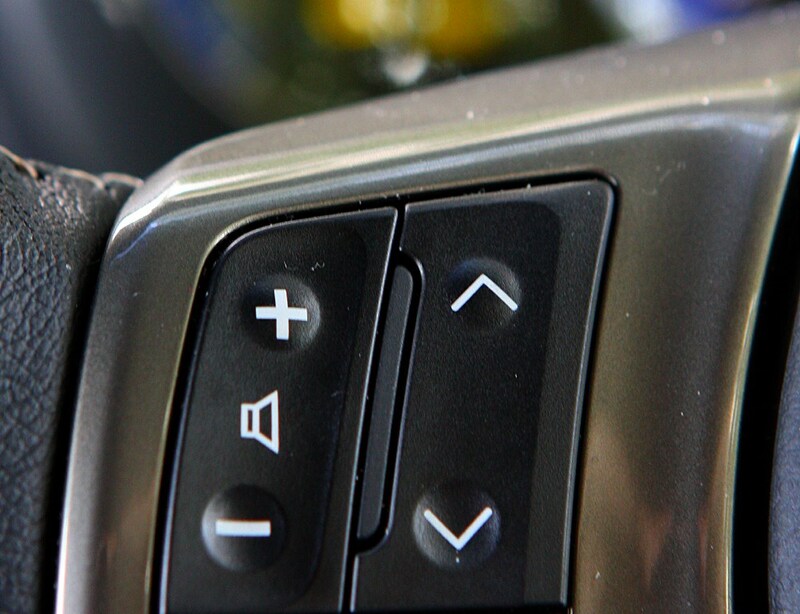 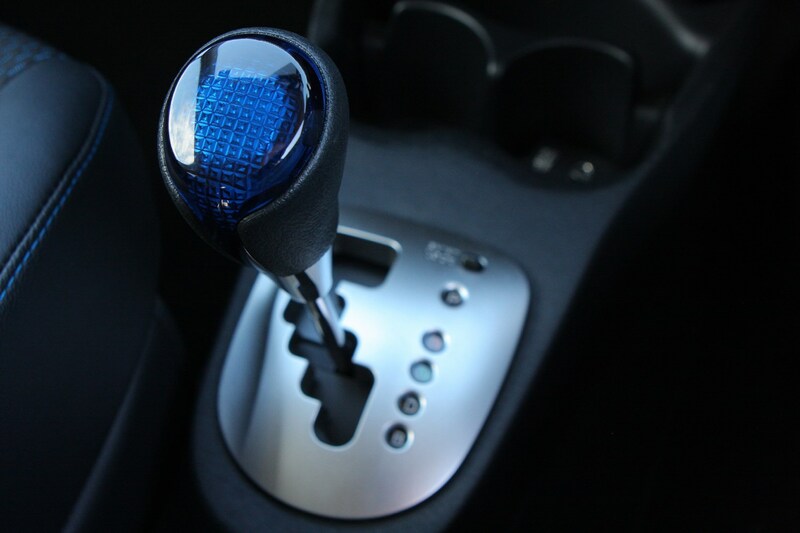 It comes paired with the CVT automatic gearbox that’s optional on the petrol-only 1.5. 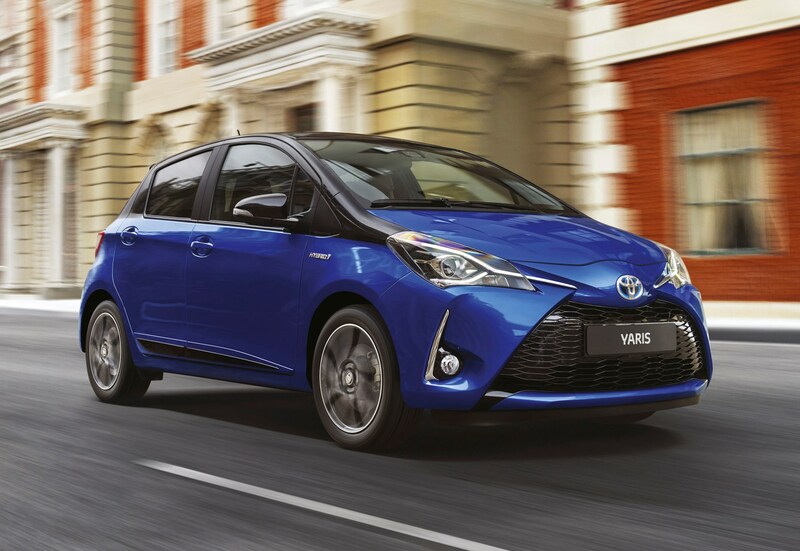 Efficiency is king here, so spec the Yaris with smaller wheels for the official claims of 85.6mg and CO2 emissions of just 75g/km. 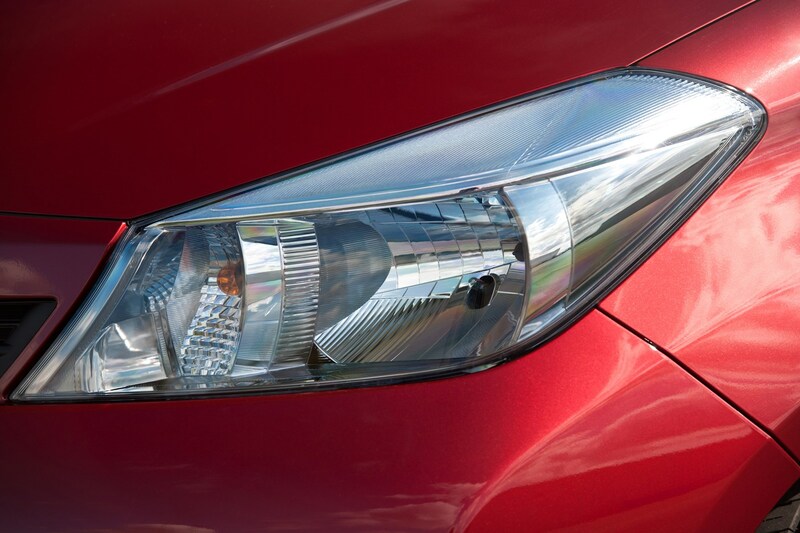 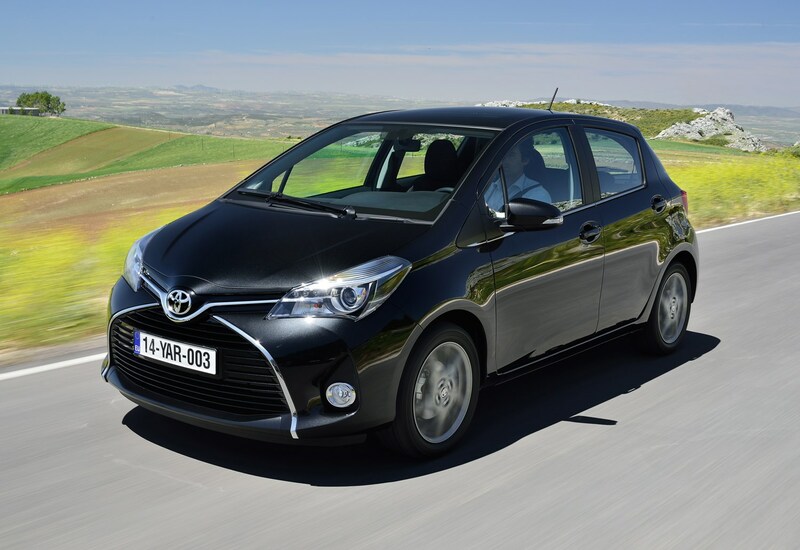 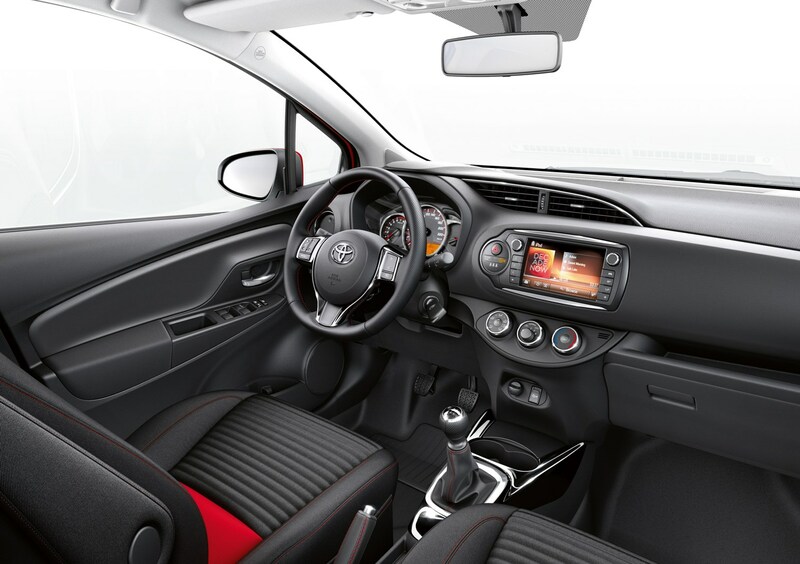 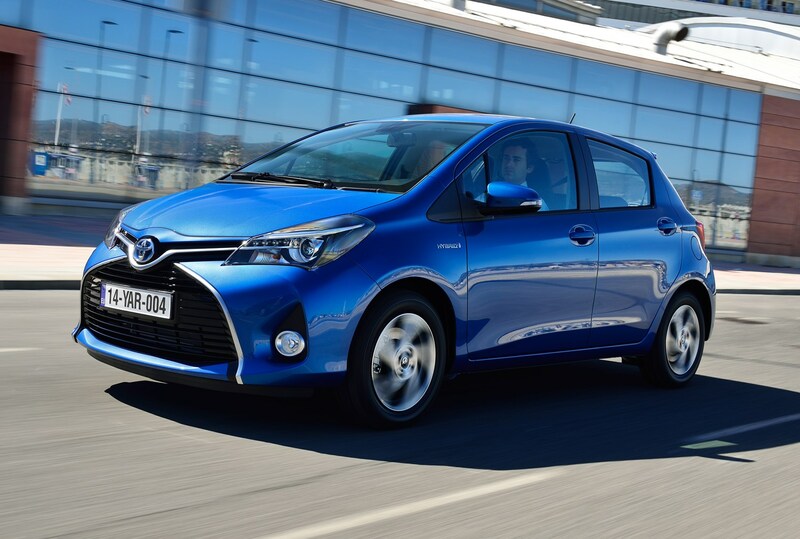 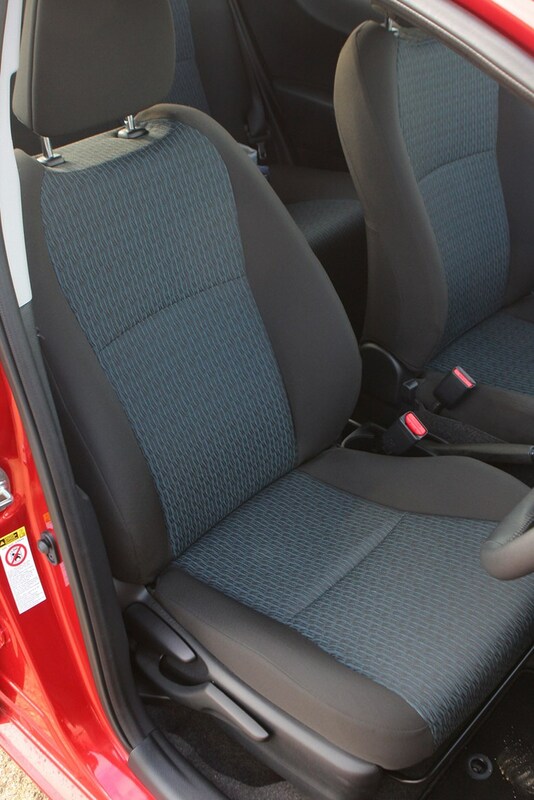 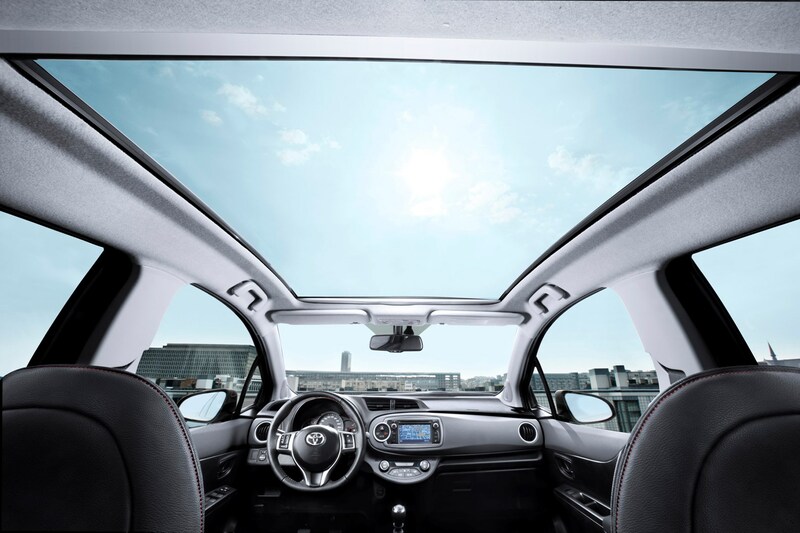 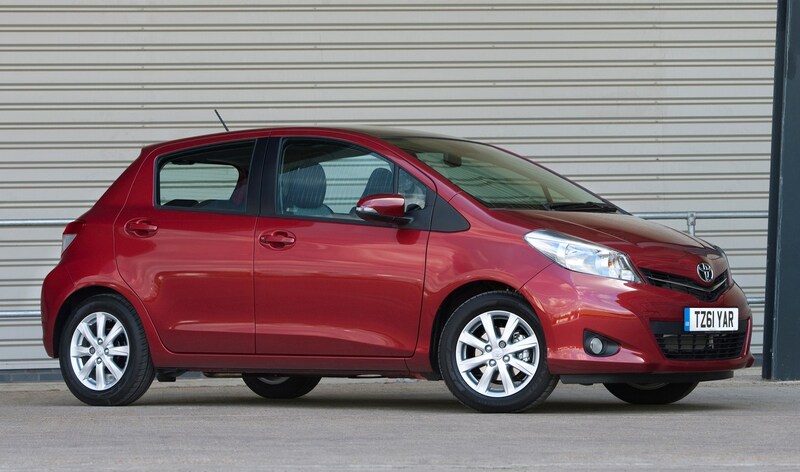 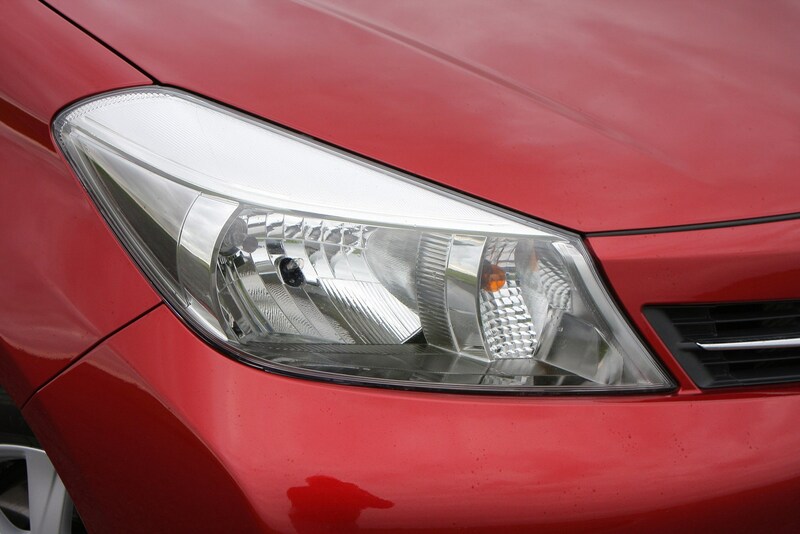 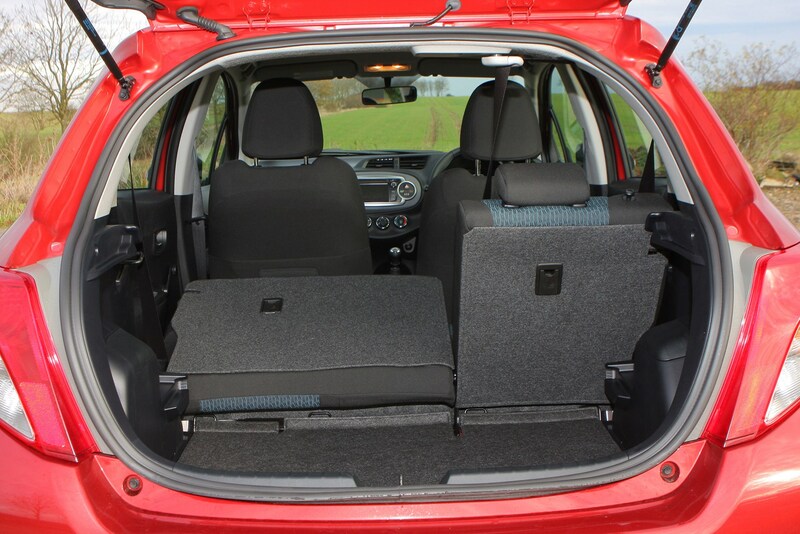 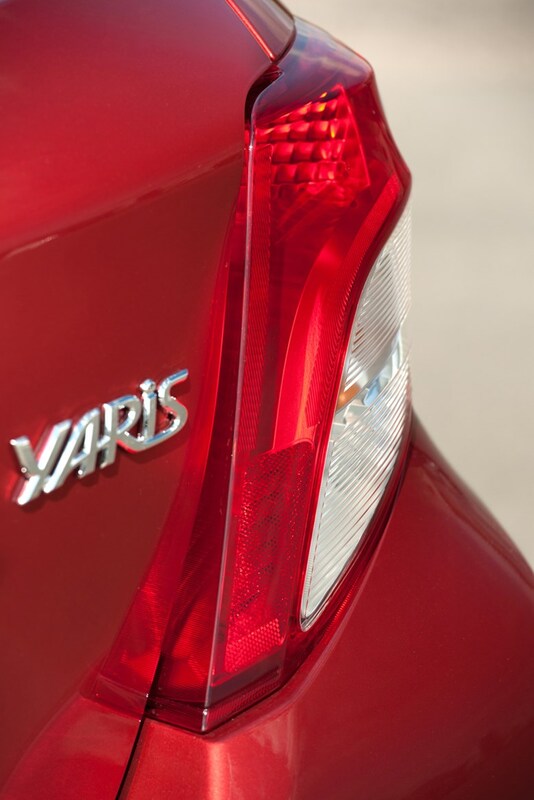 The Toyota Yaris is one of the most practical superminis on sale, despite its compact dimensions. 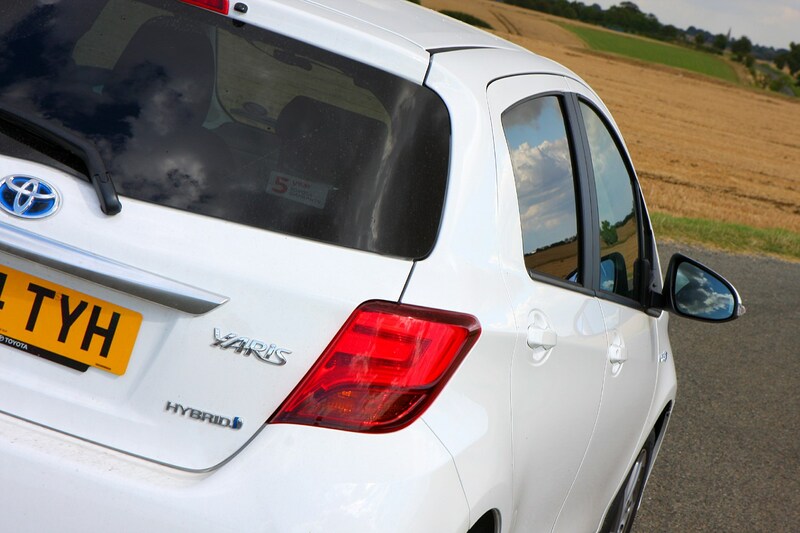 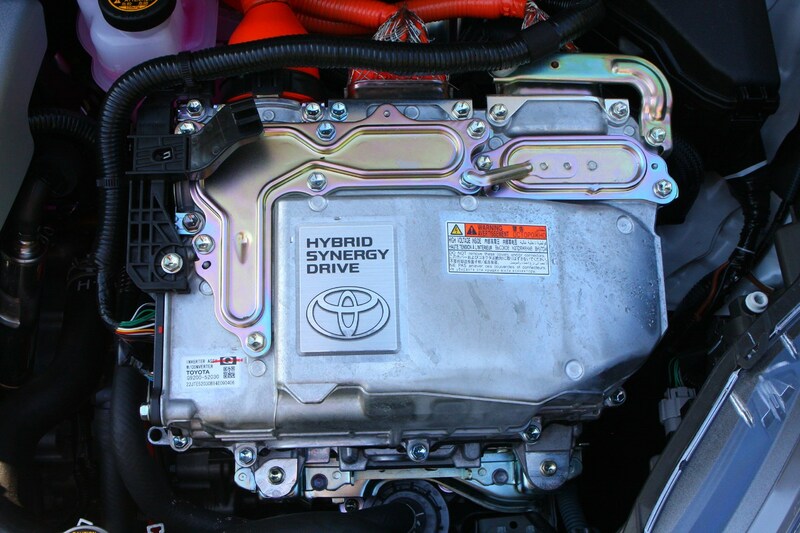 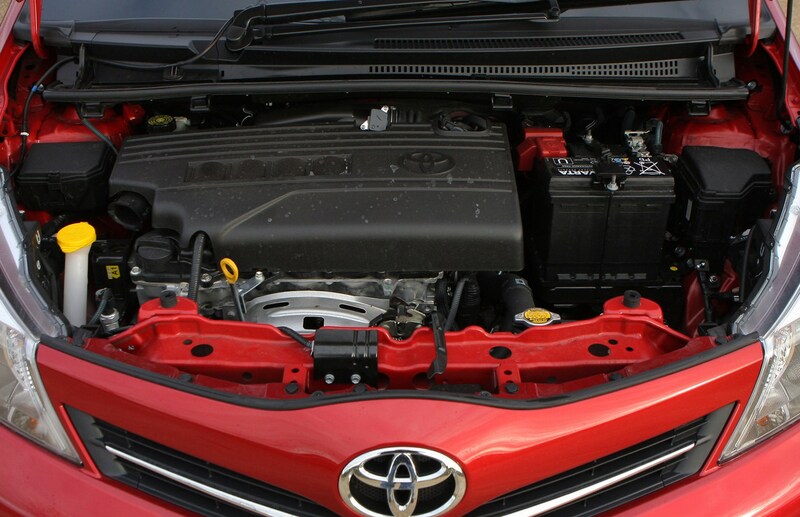 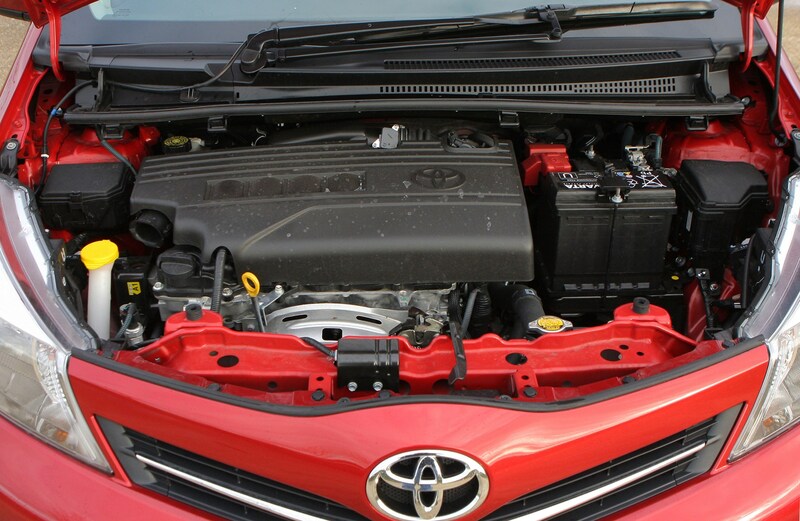 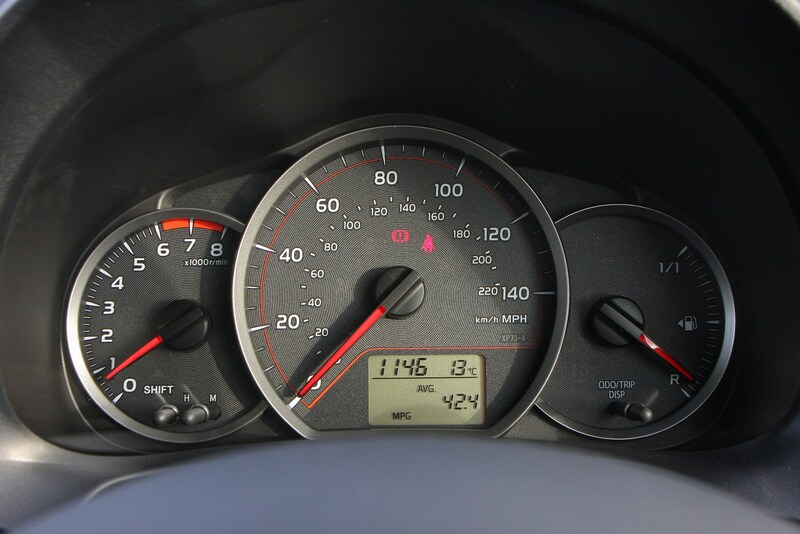 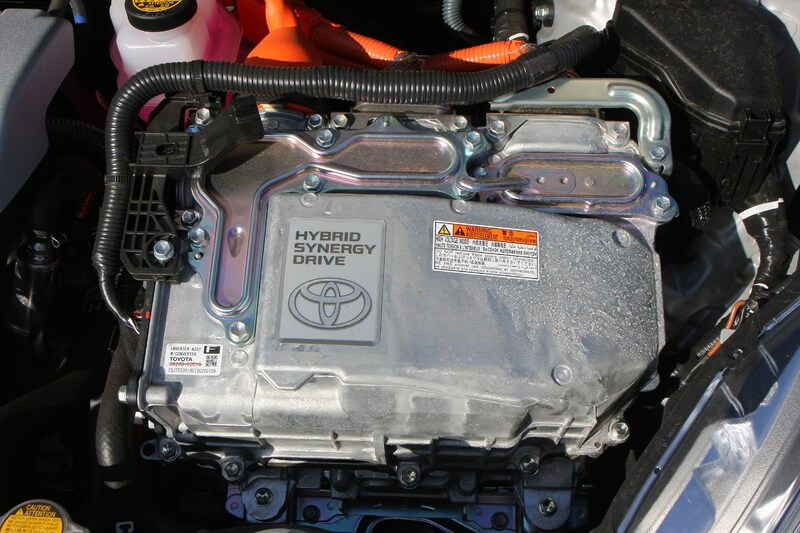 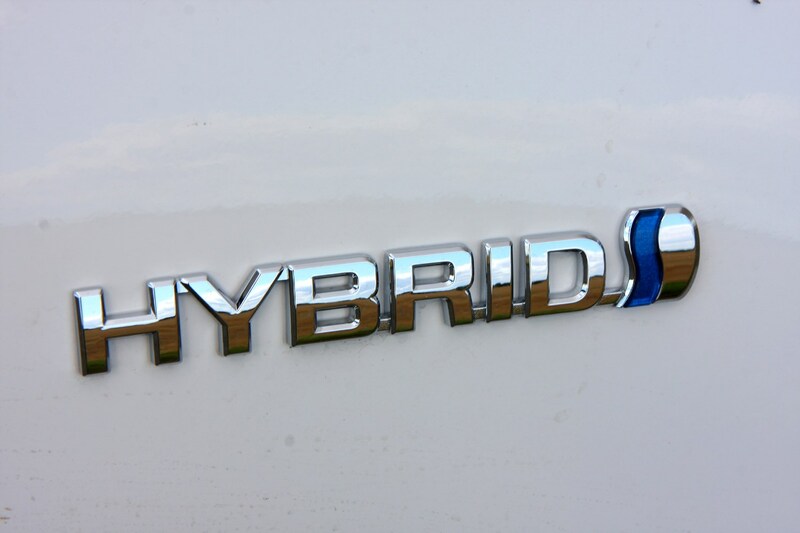 The mainstream models are not the most exciting to drive, but the Yaris is one of the easiest to manoeuvre, and it’s unique in offering a hybrid powertrain in this segment. 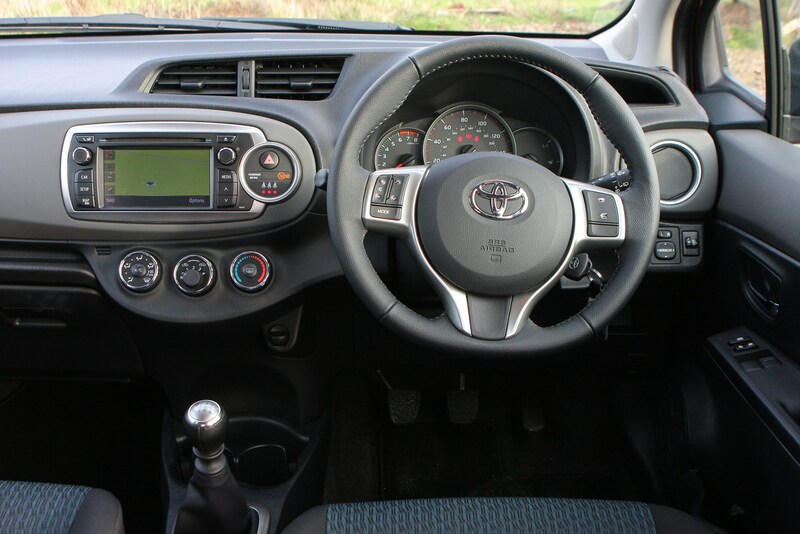 The interior trails its rivals though, but its 2017 facelift has ensured it still looks fresh among a range of talented new rivals. 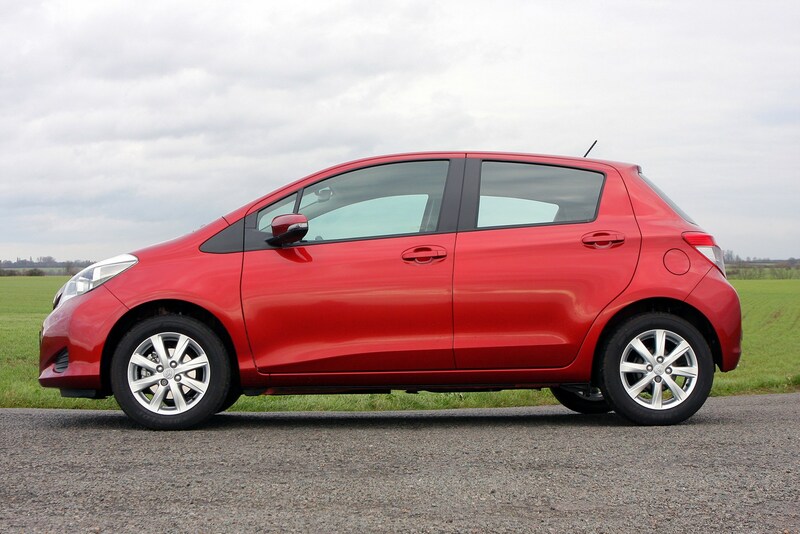 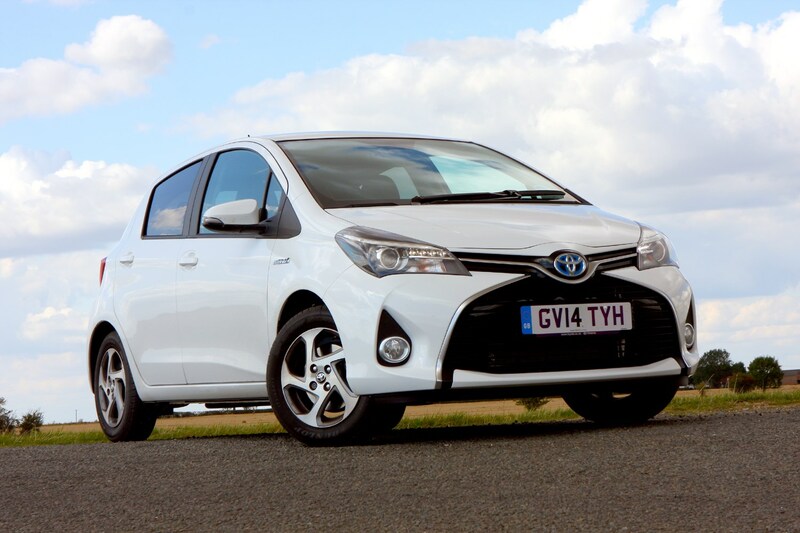 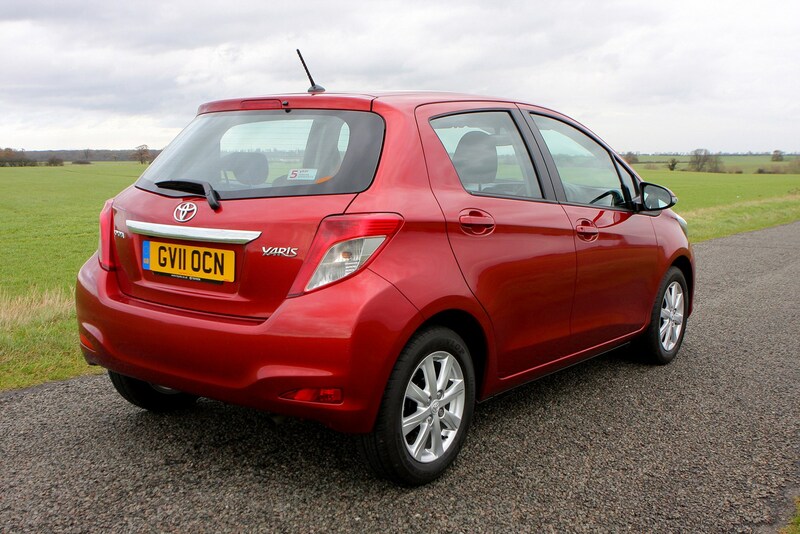 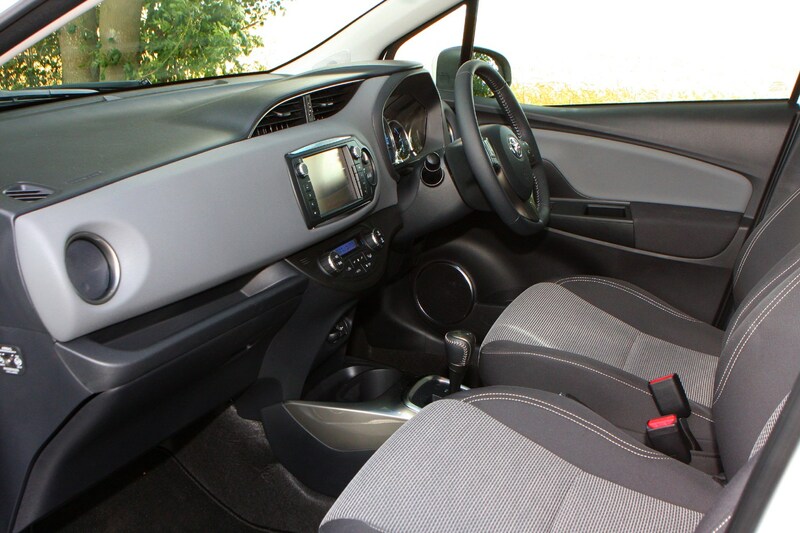 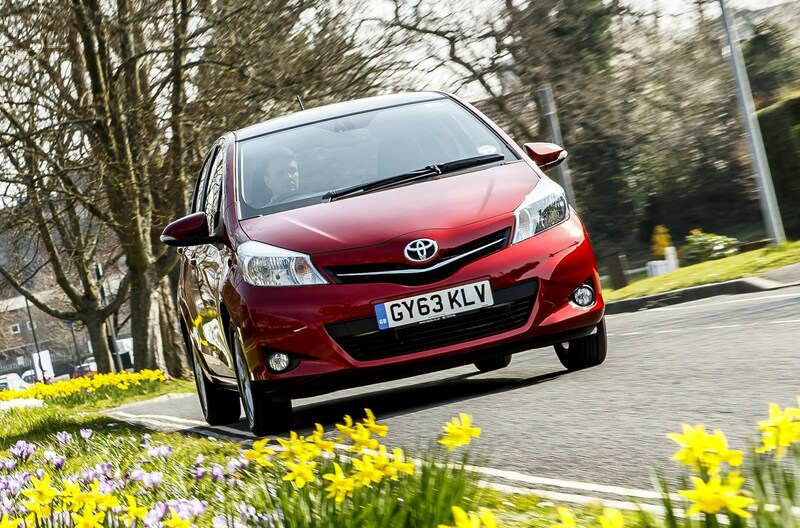 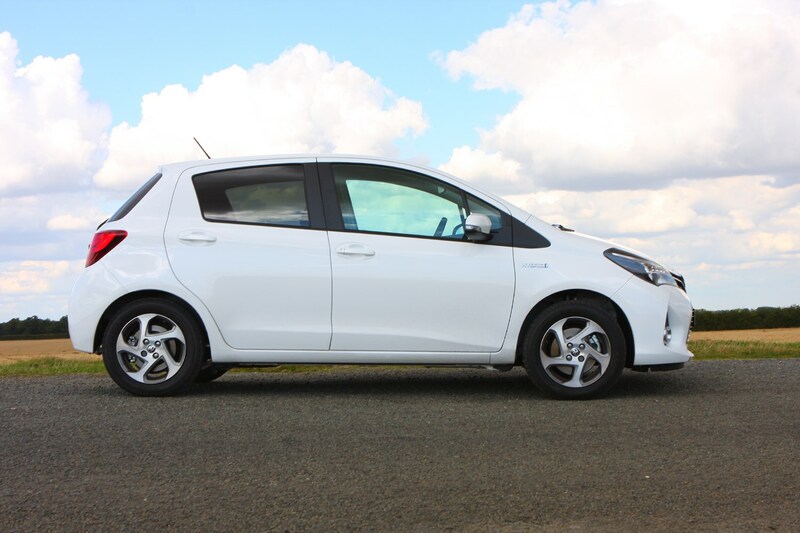 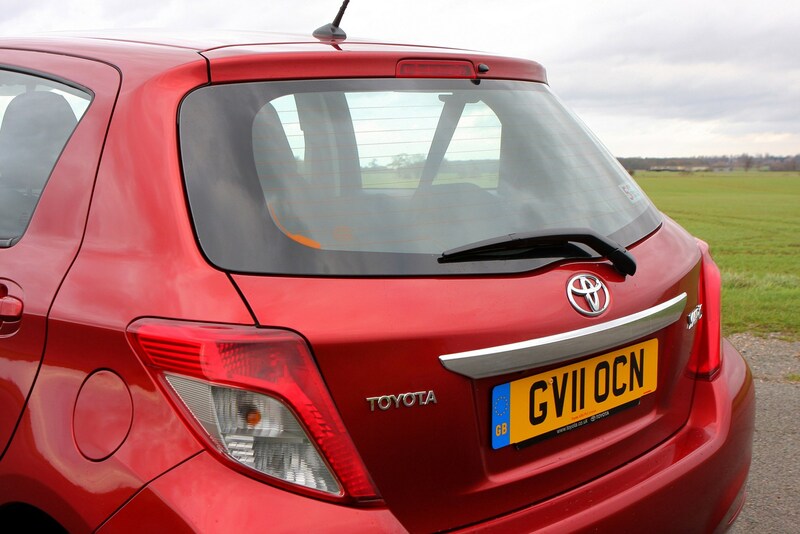 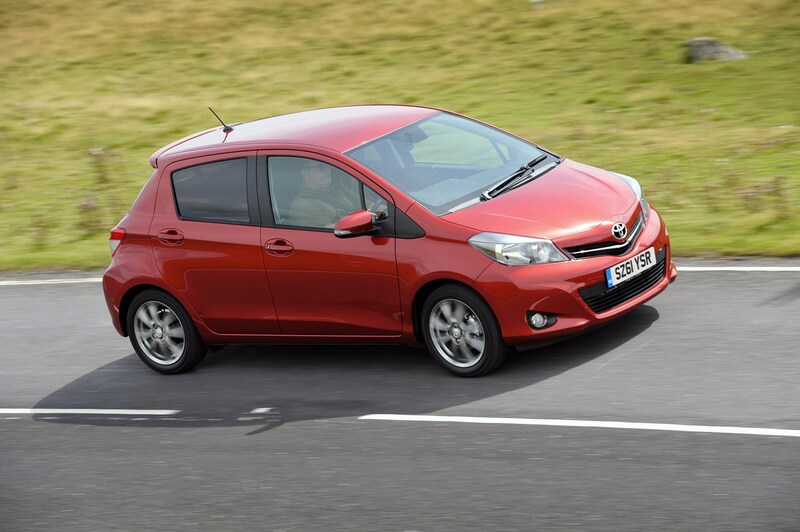 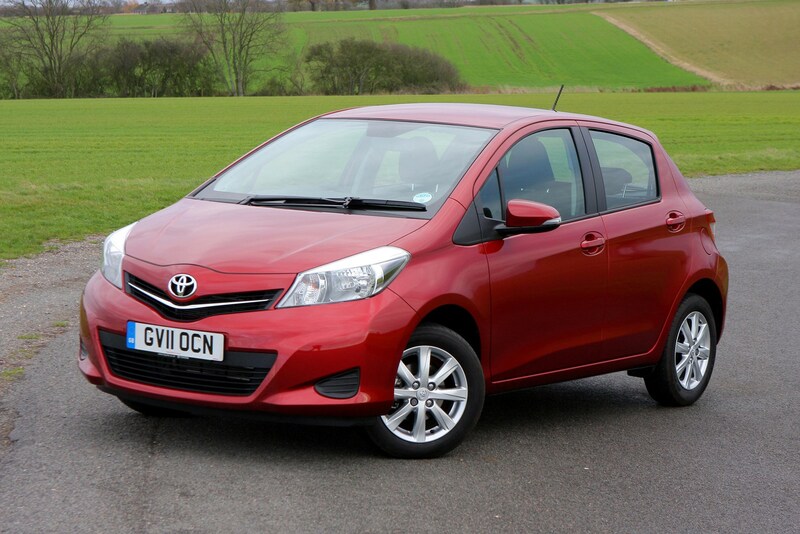 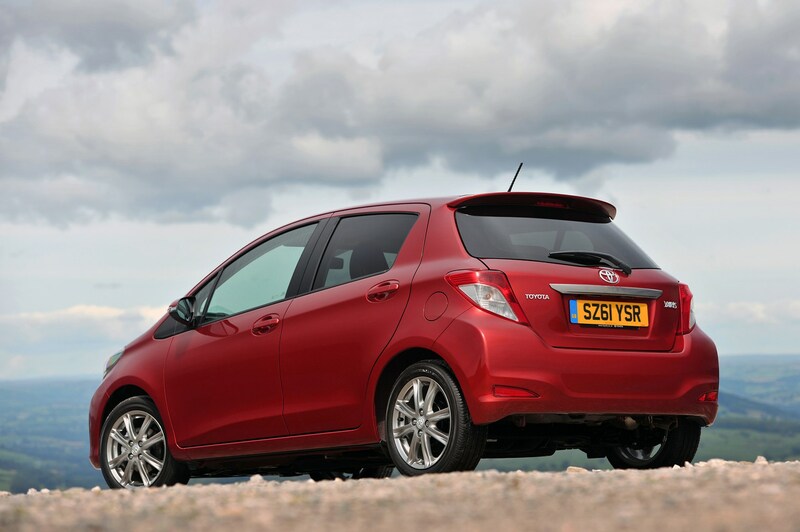 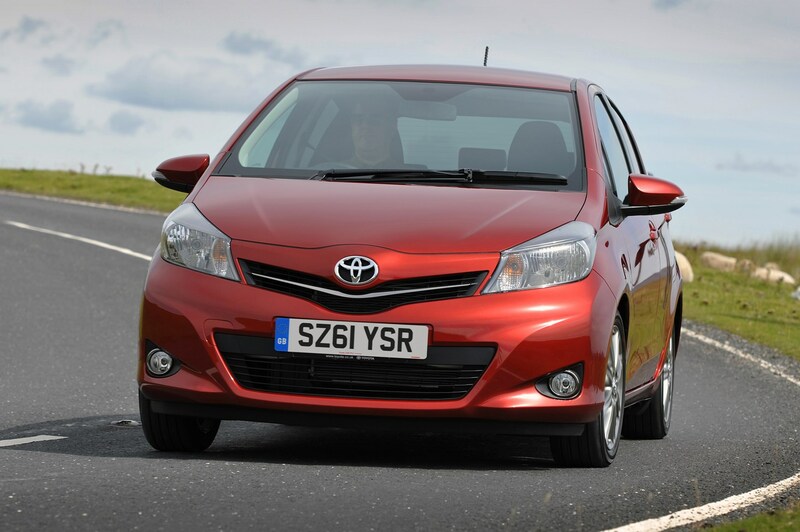 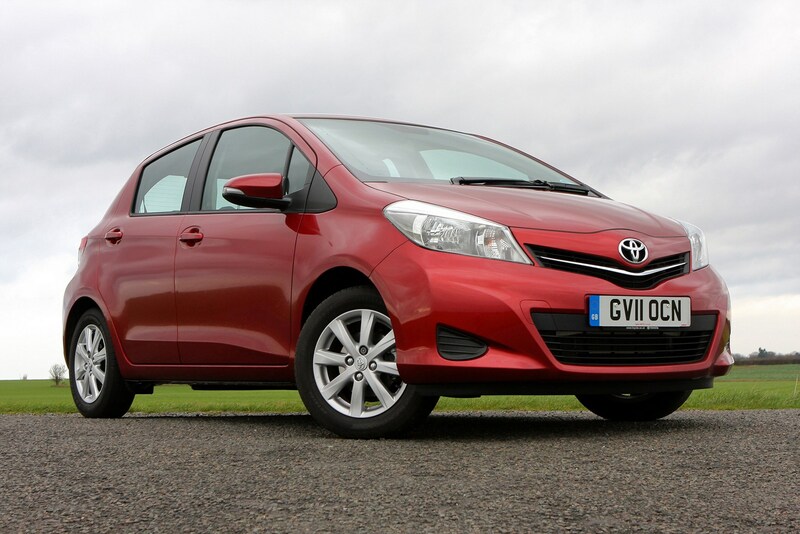 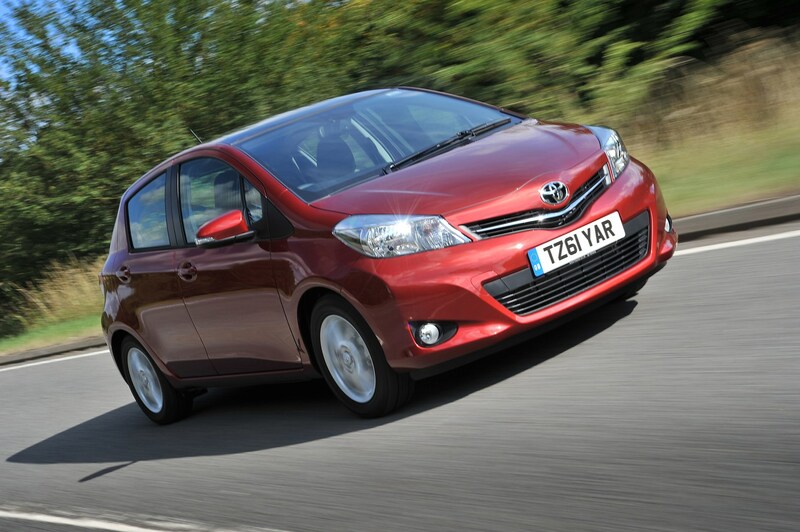 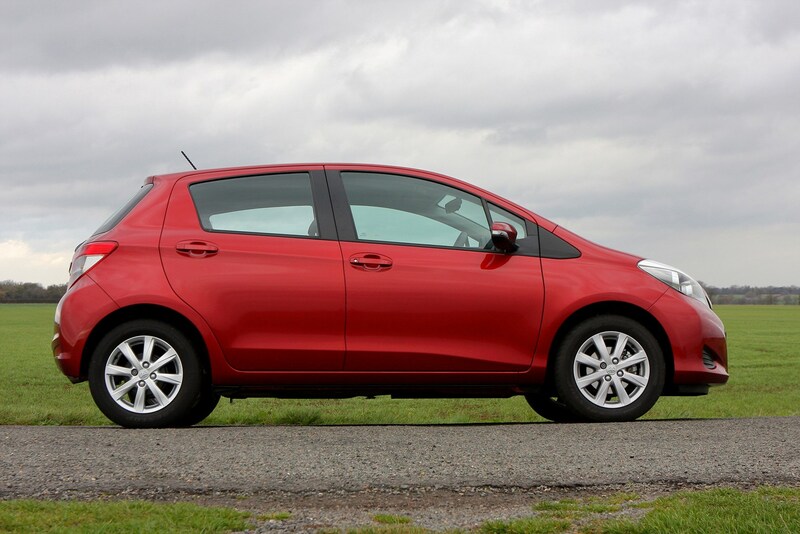 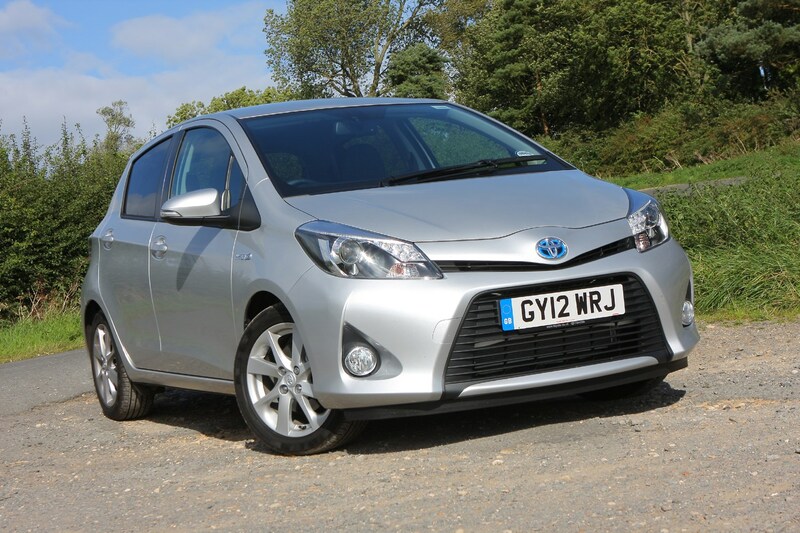 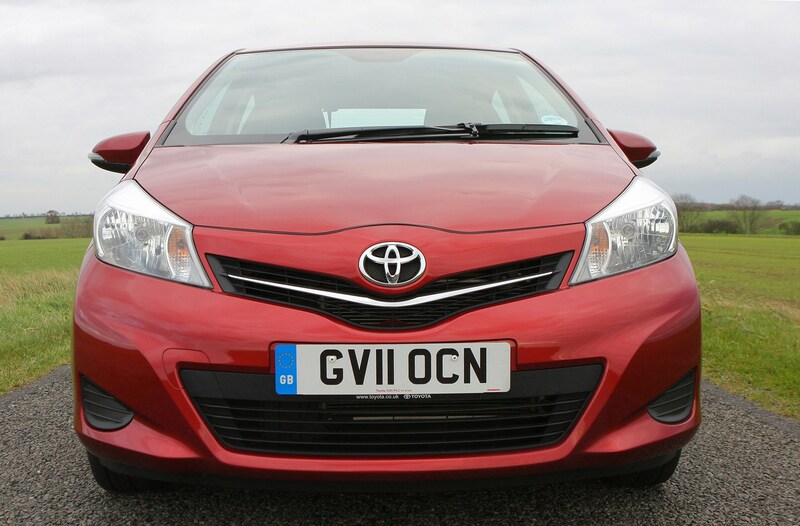 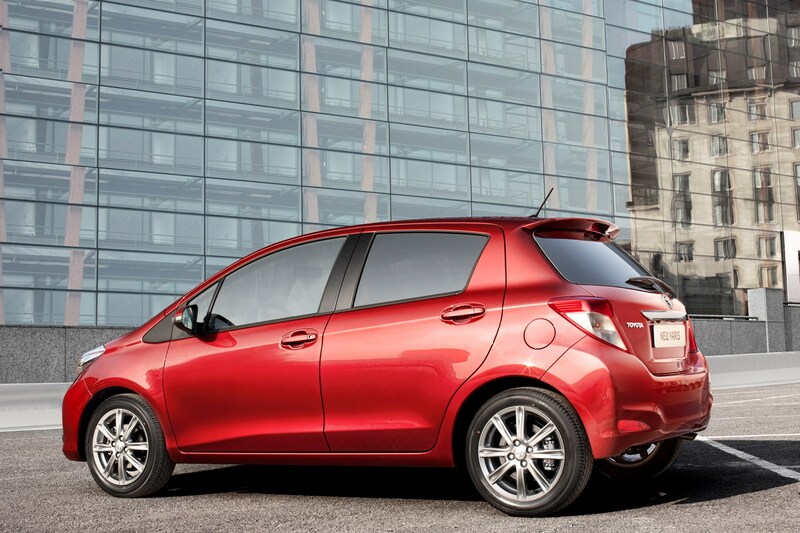 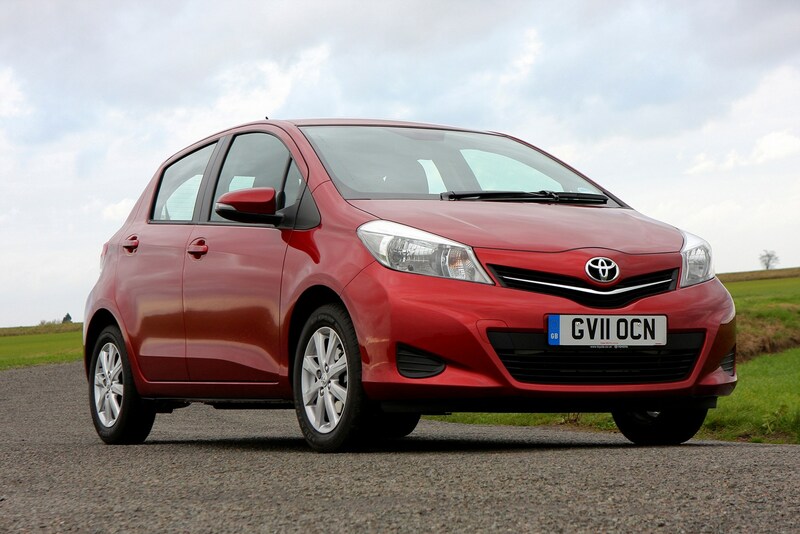 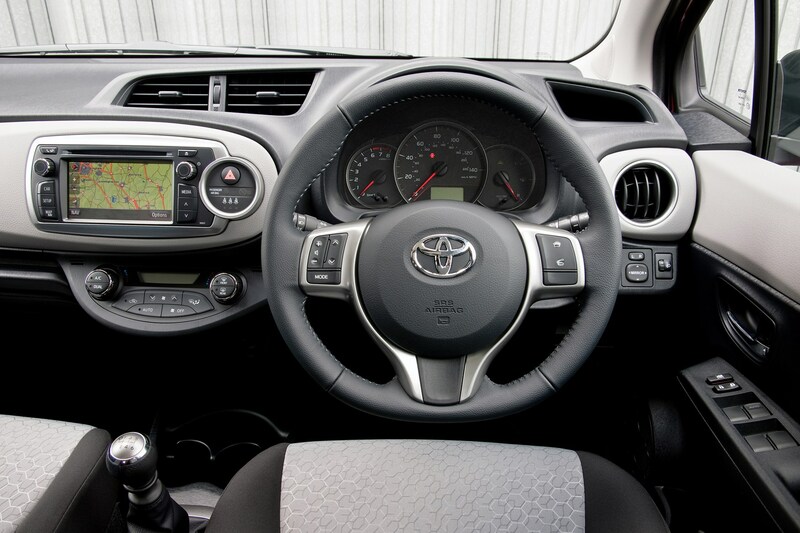 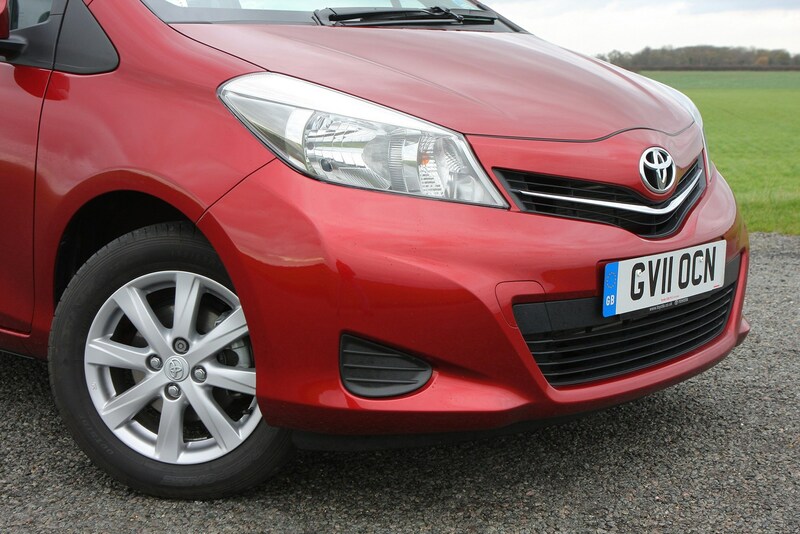 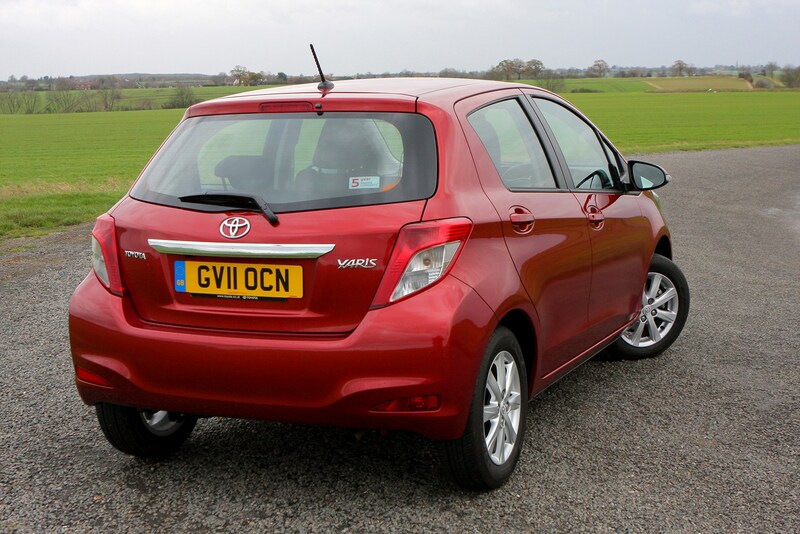 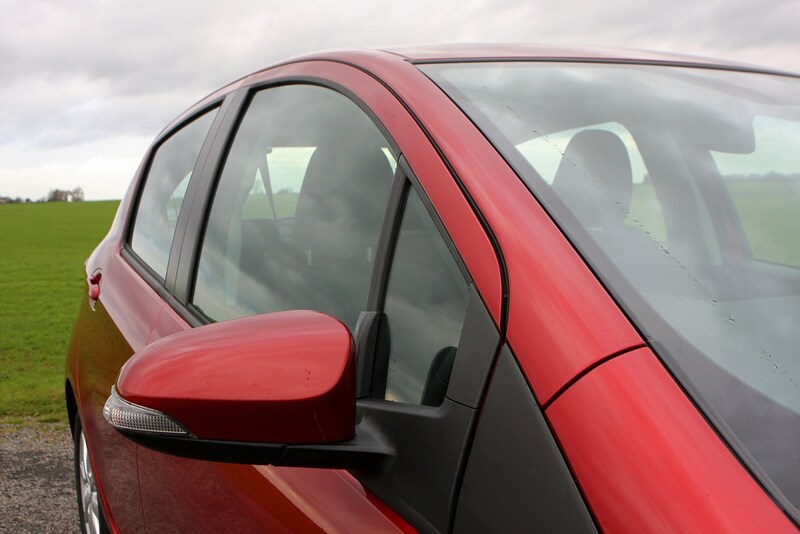 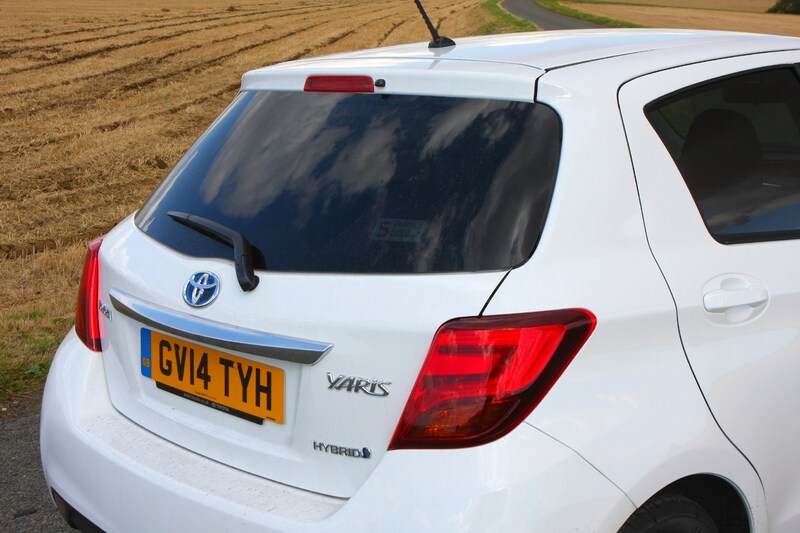 Read on for the full Parkers review of the Toyota Yaris to see if it should be on your shopping list.